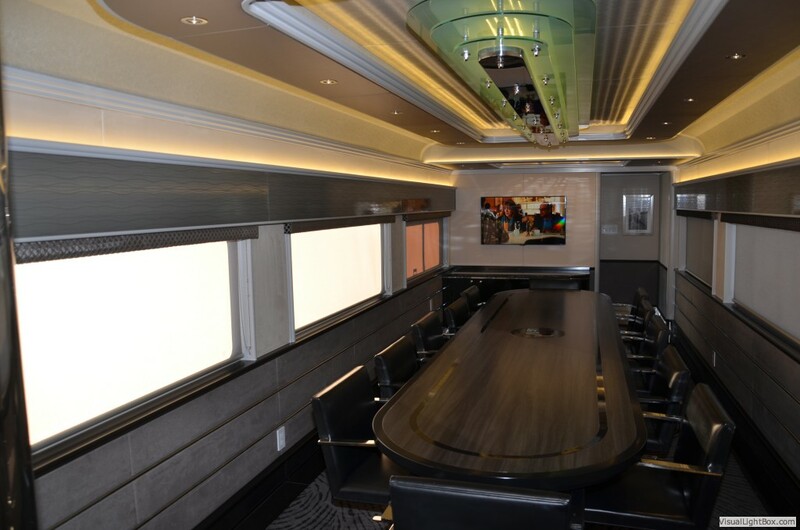 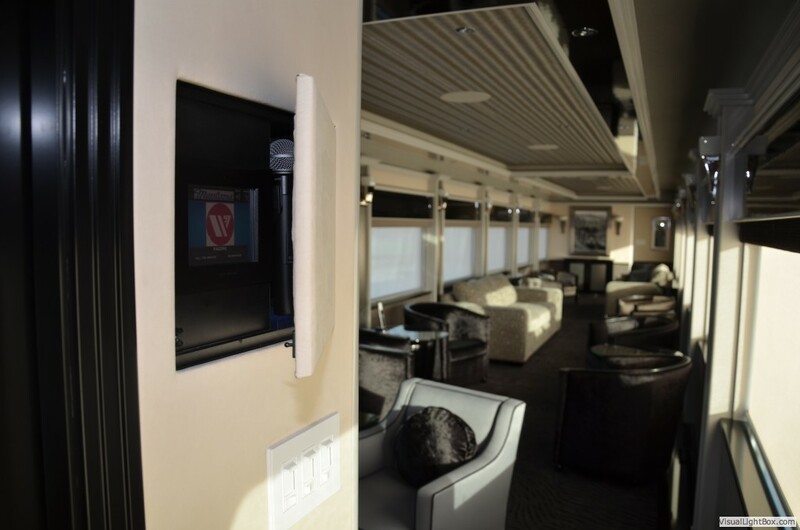 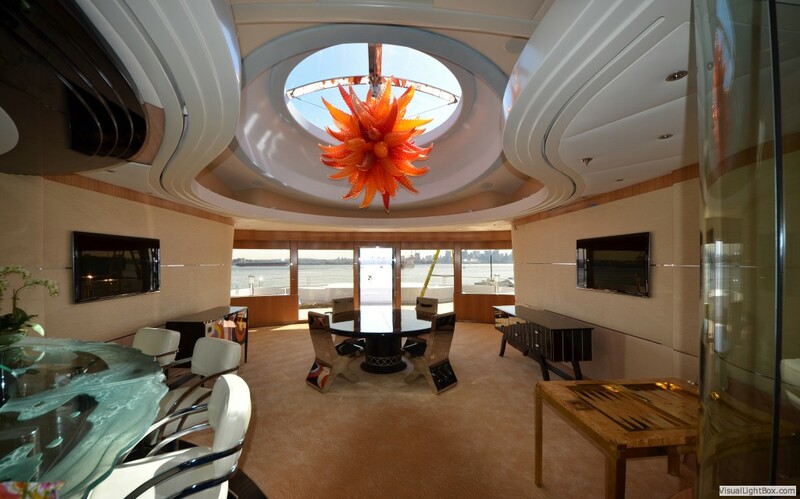 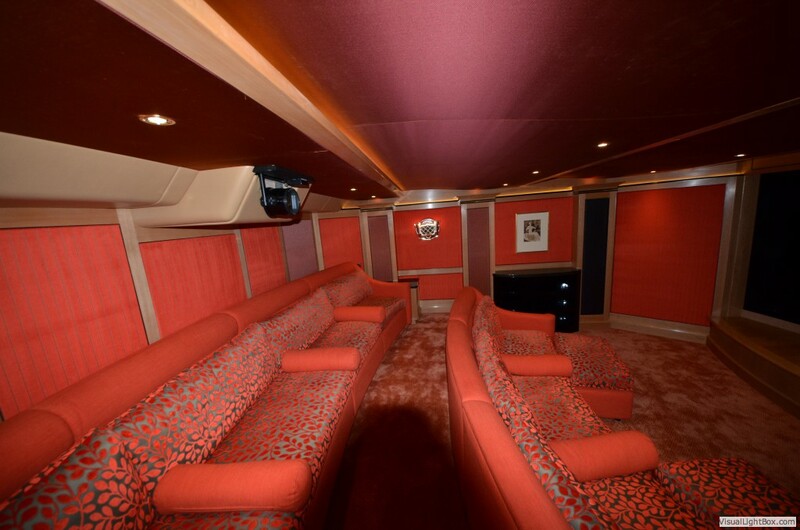 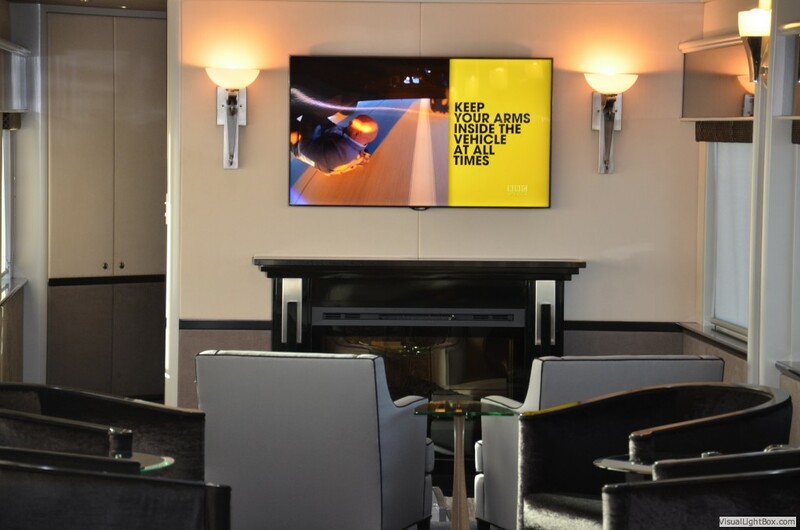 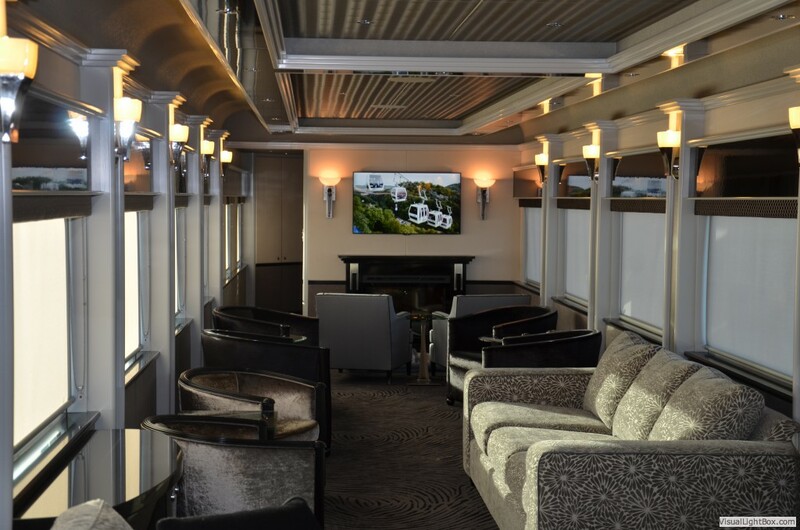 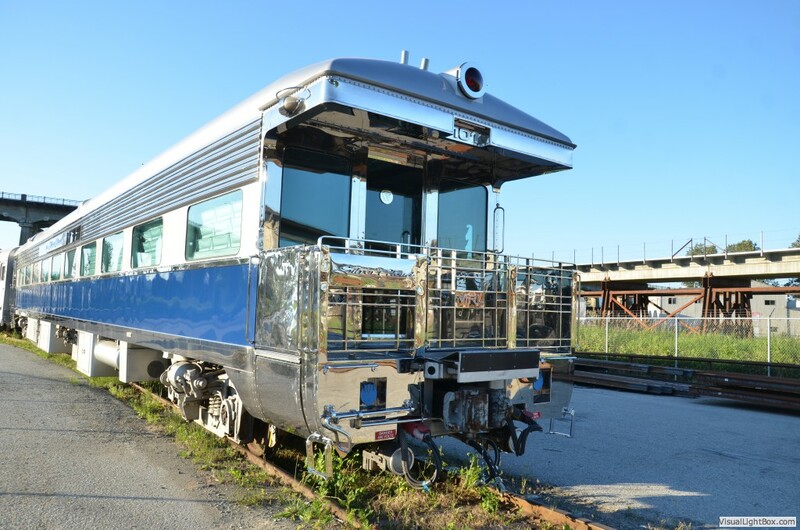 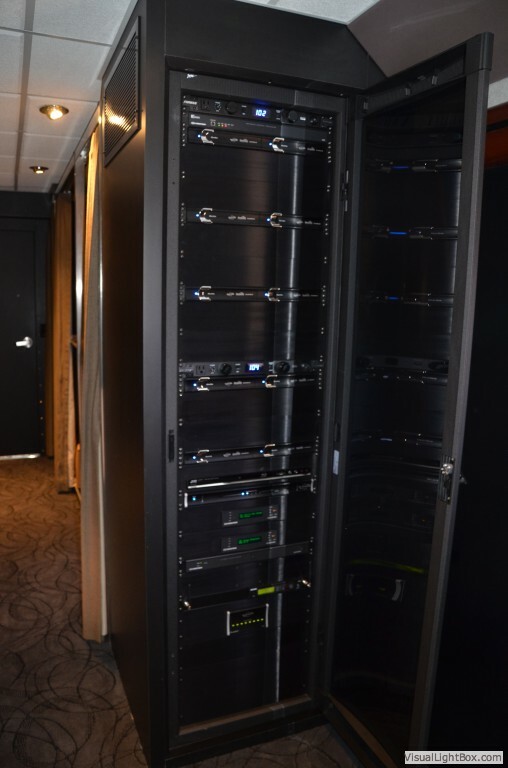 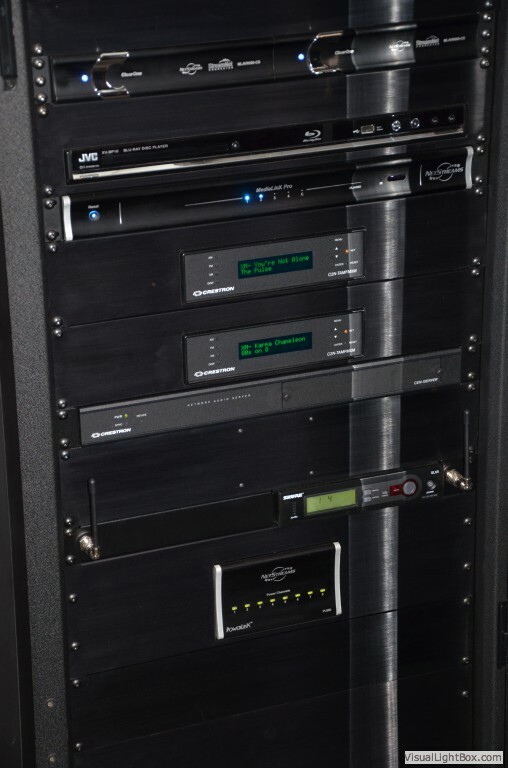 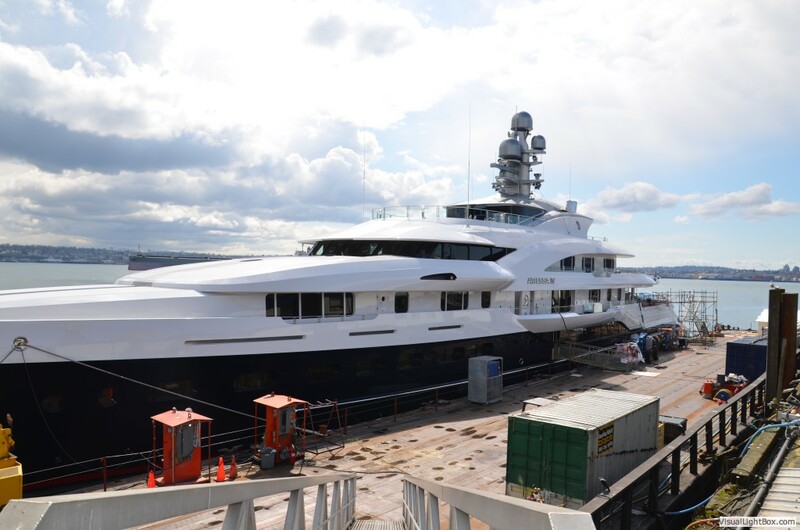 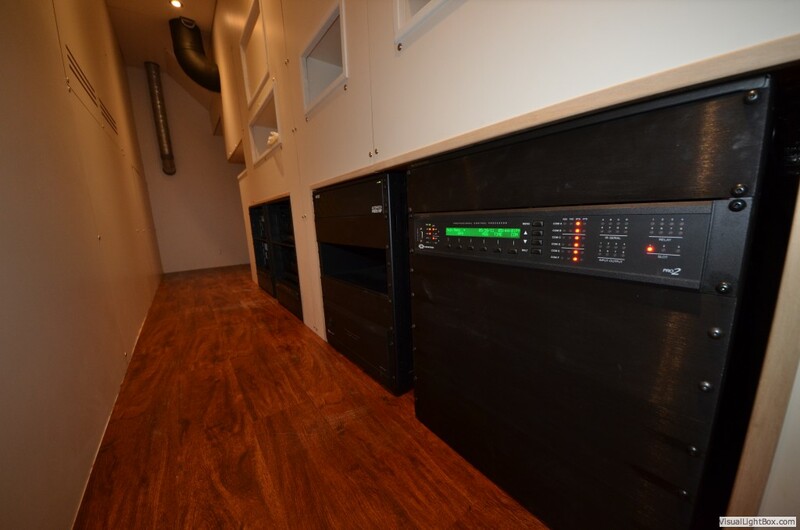 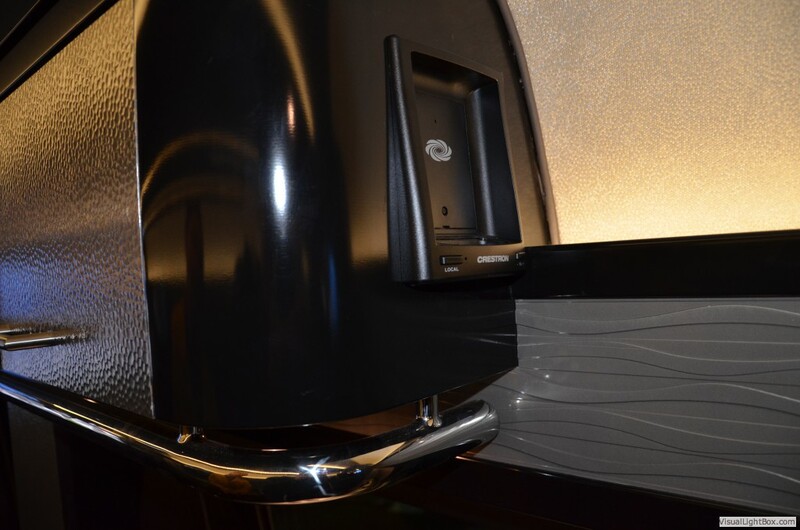 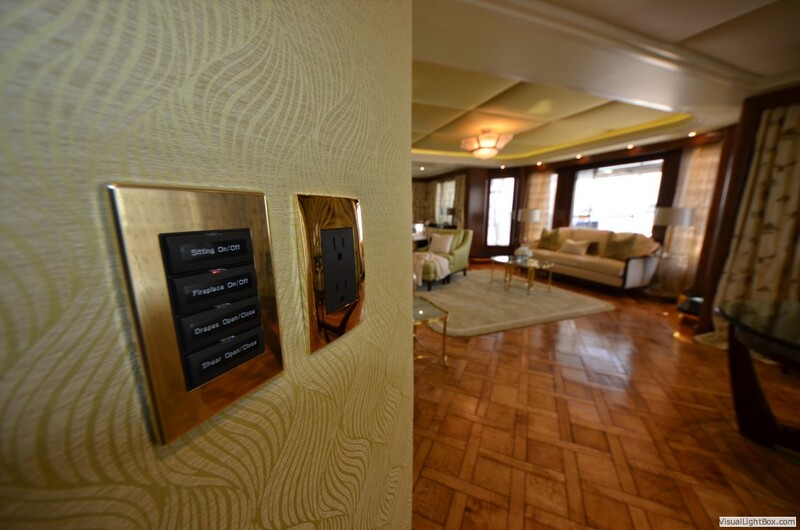 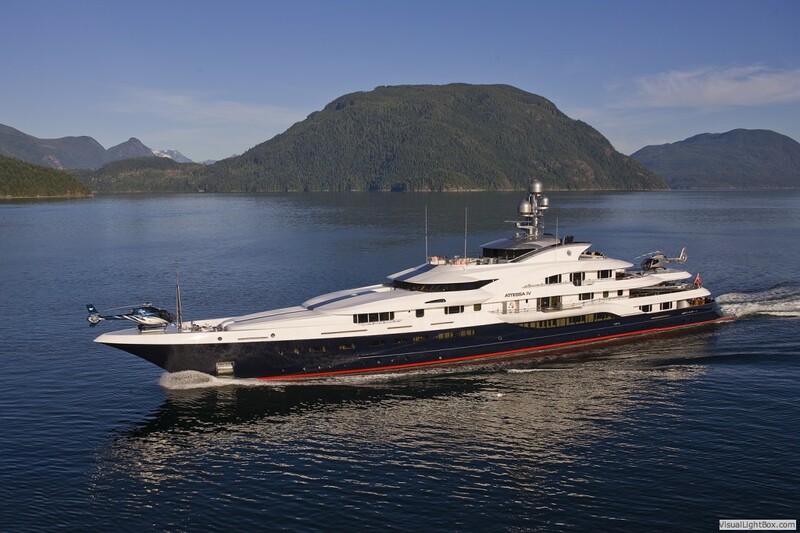 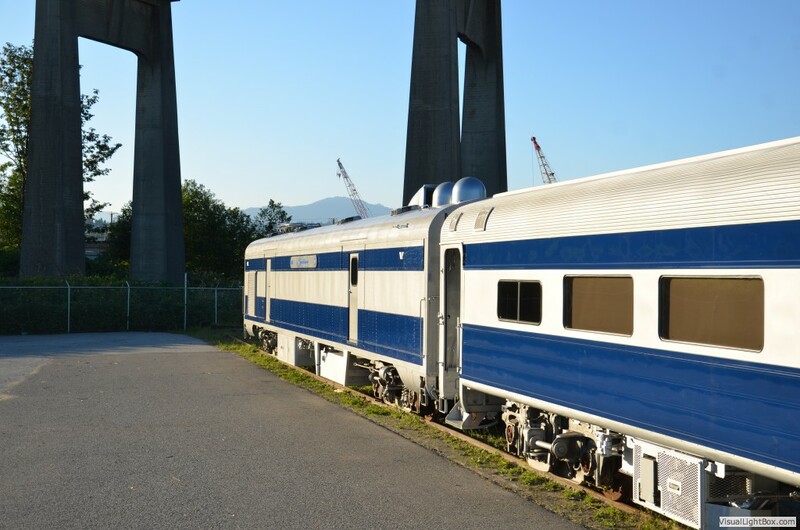 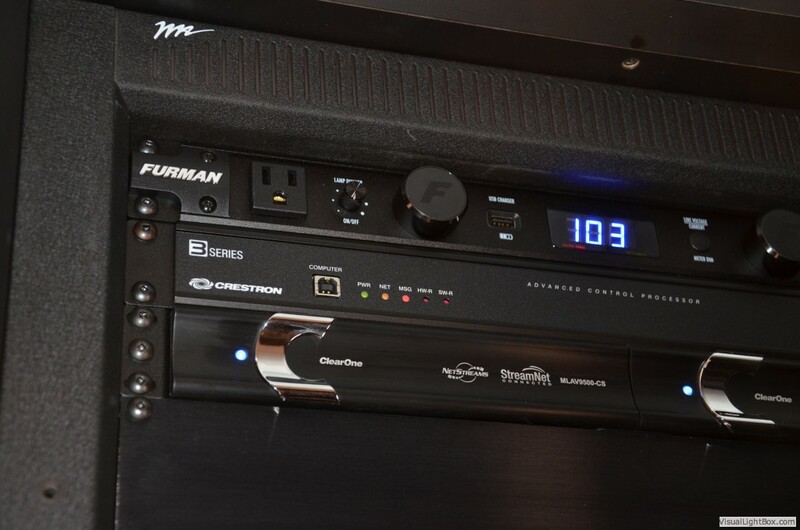 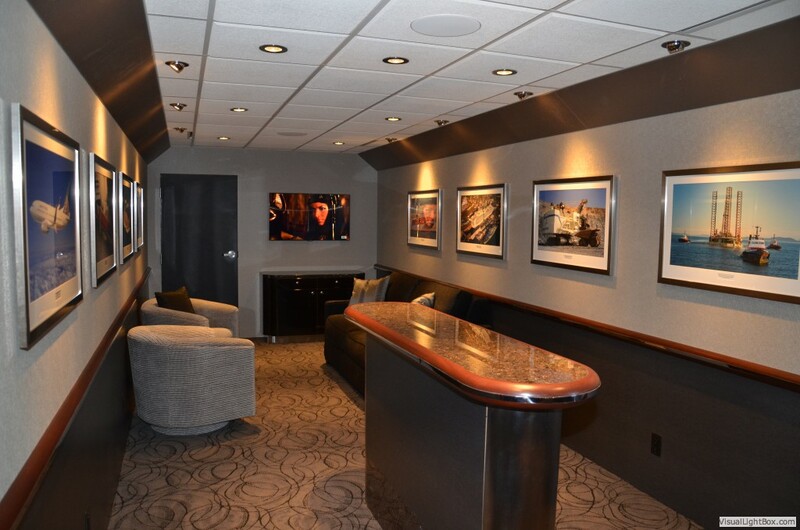 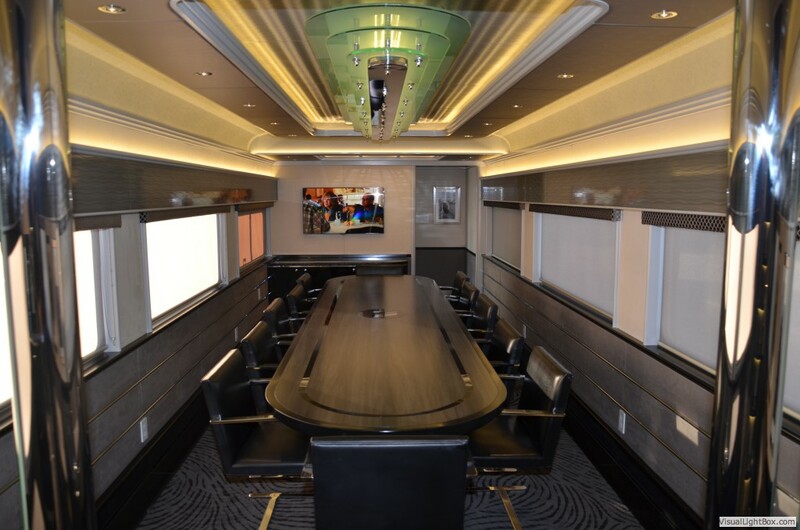 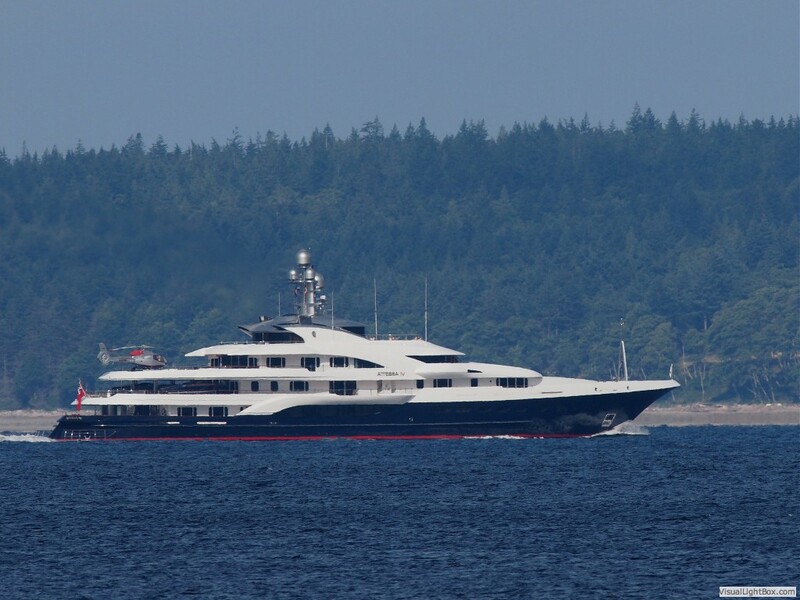 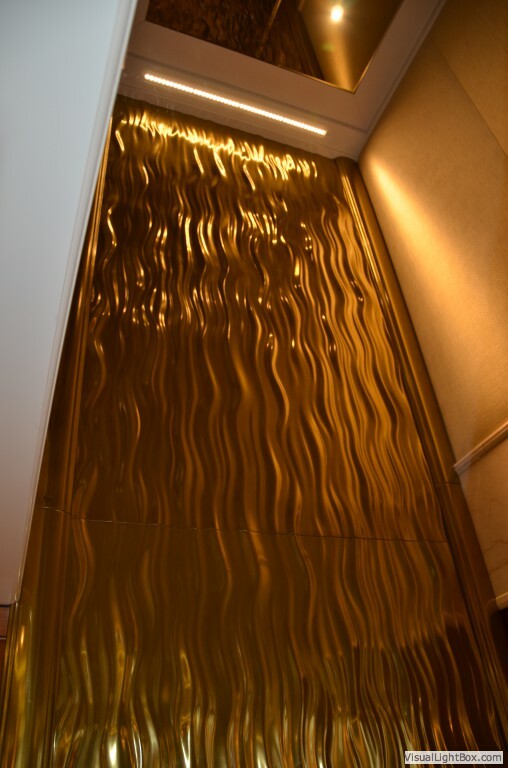 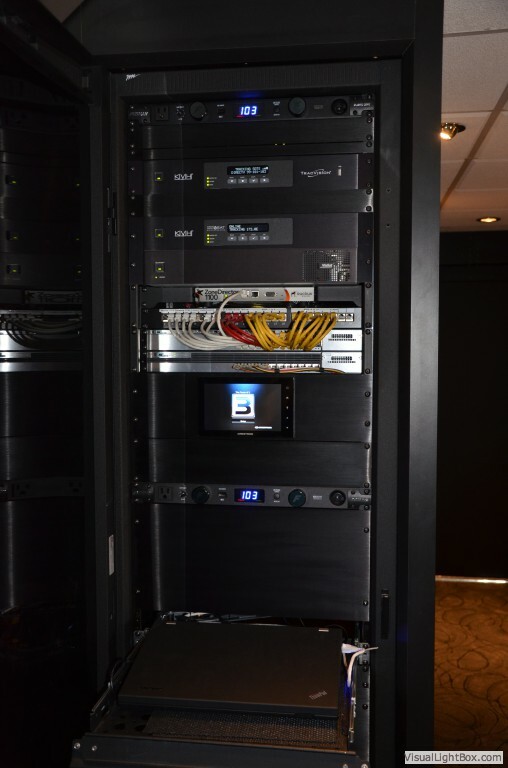 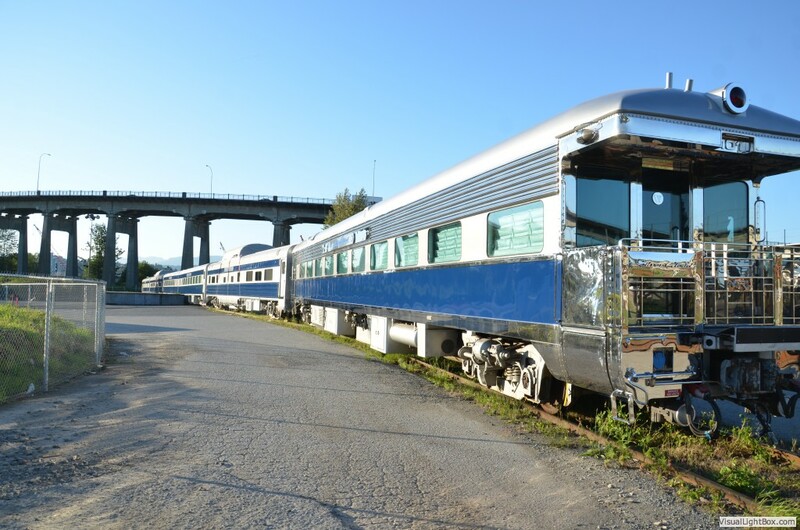 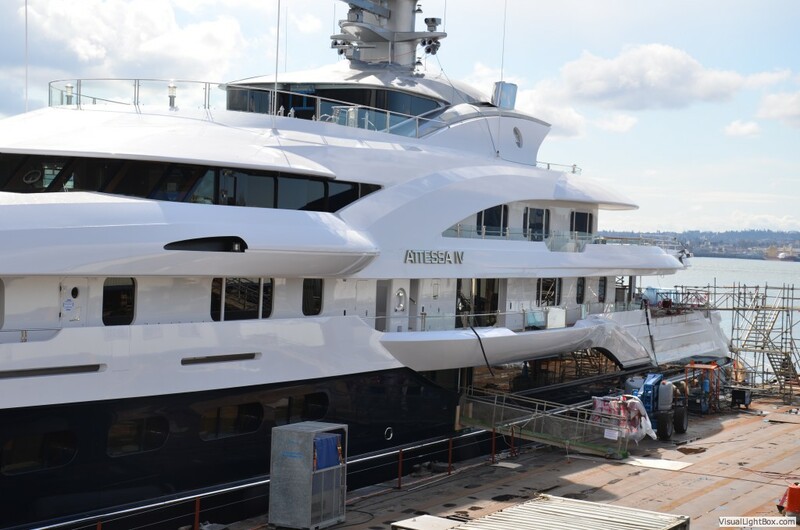 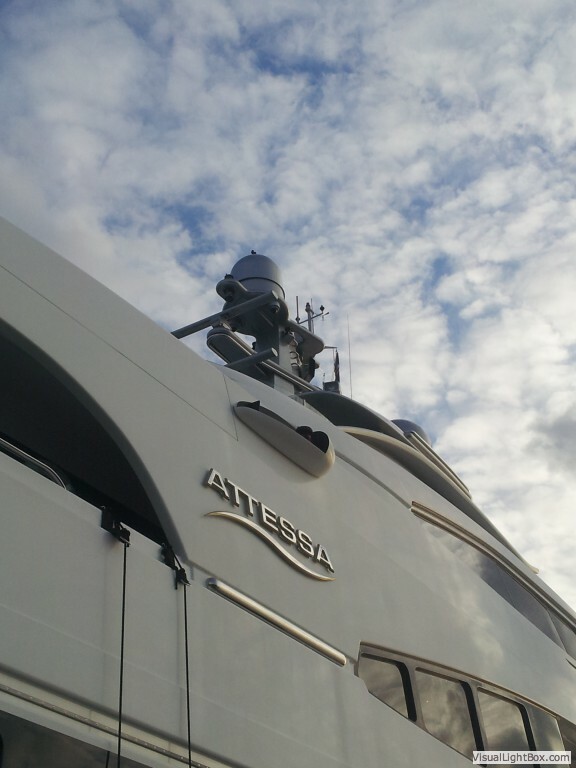 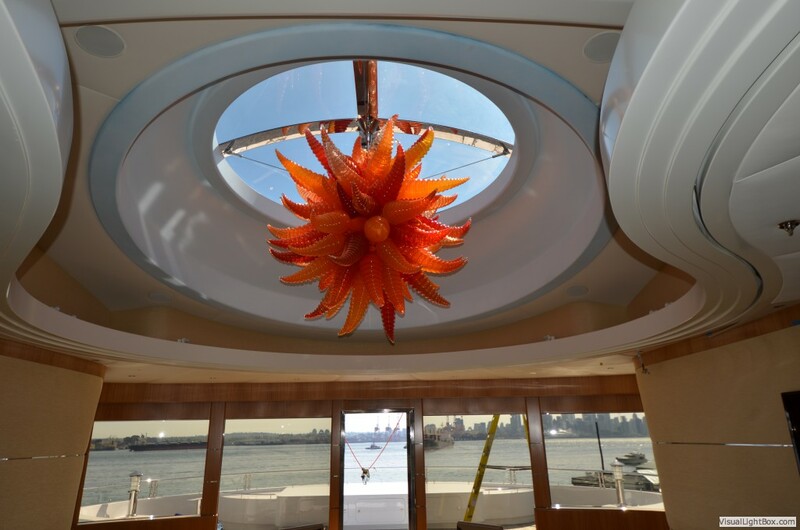 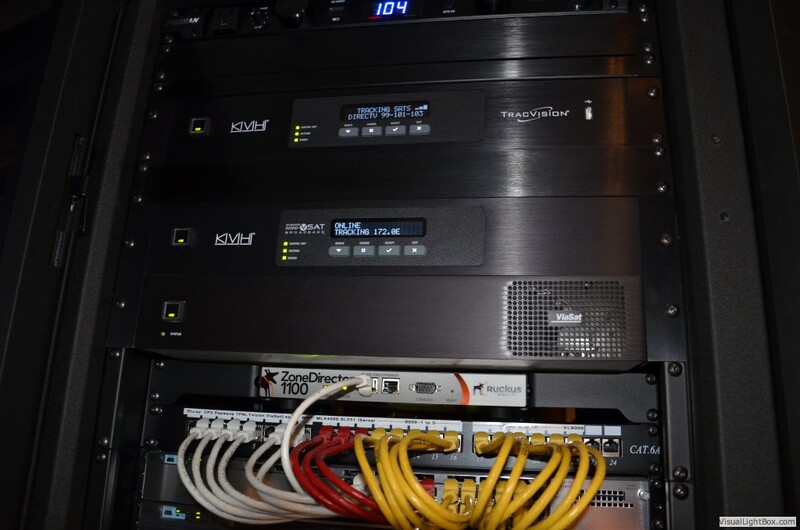 Featured in news, magazines and the winner of the 2012 Crestron Integration Award winner for Best Luxury Transportation, this project was several years in the making and features many of our services. 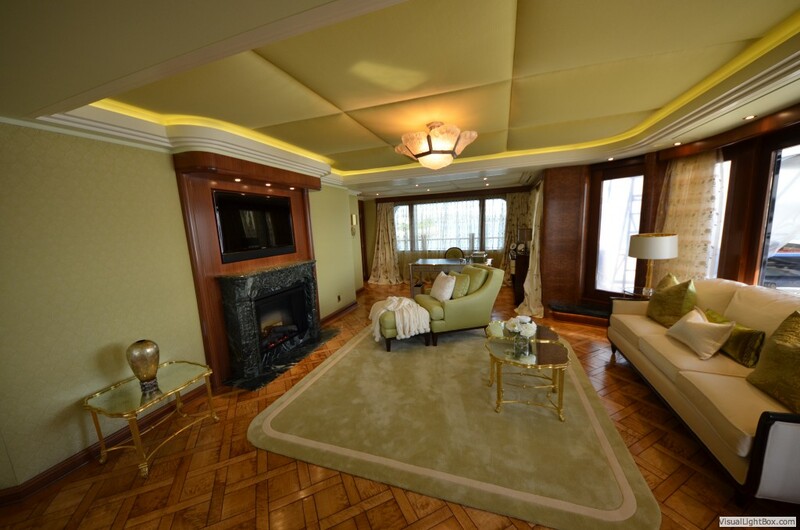 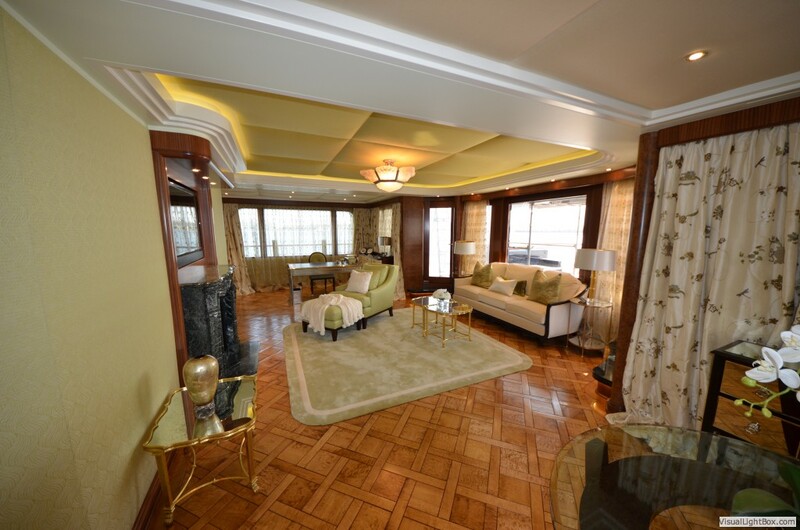 There too many rooms to list but the most notable are the 8 guest rooms, master suite and office, gym, spa, dining room, theater and 2 bars/lounges. 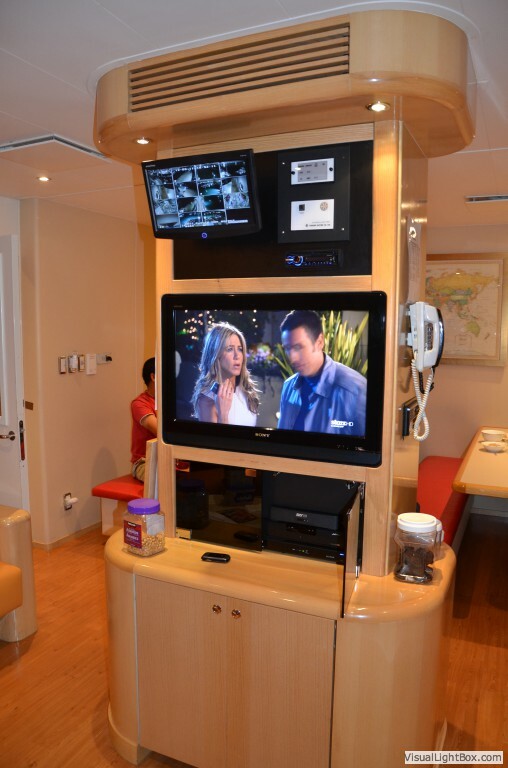 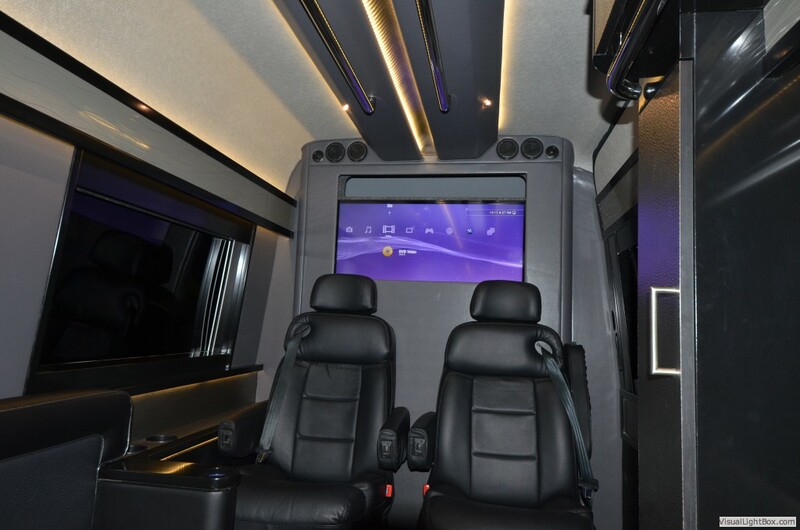 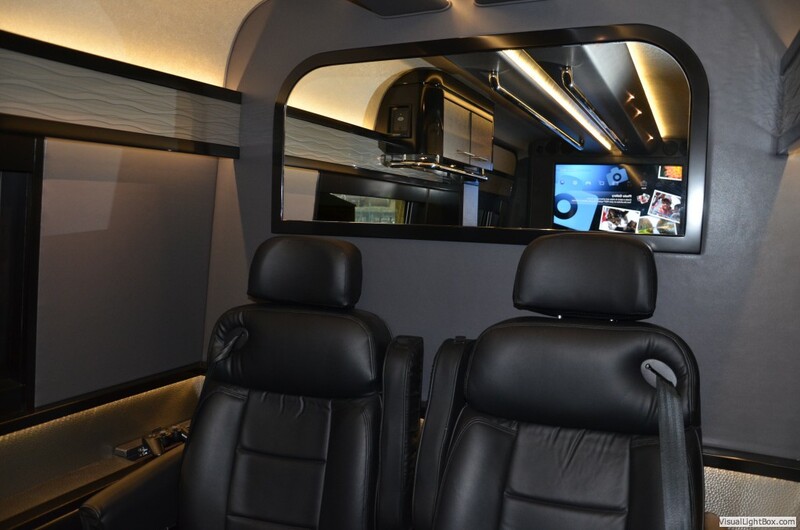 All of which are outfitted with recessed flat screen TV's, in ceiling speakers and touchscreen control. 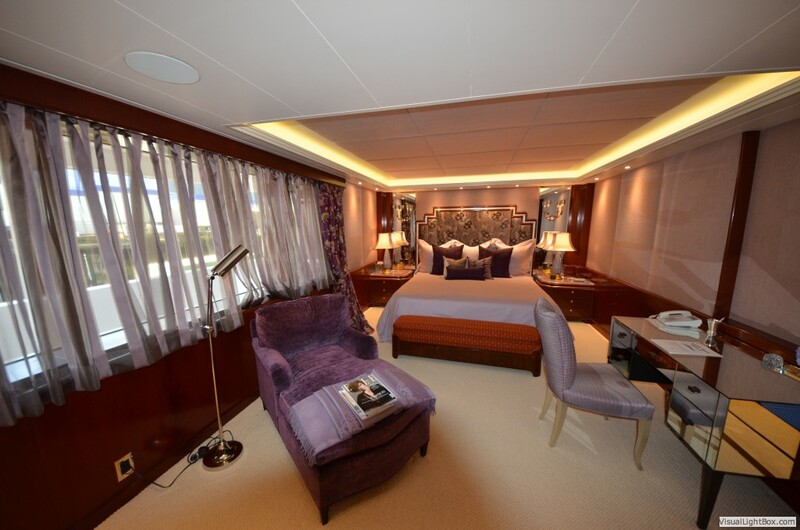 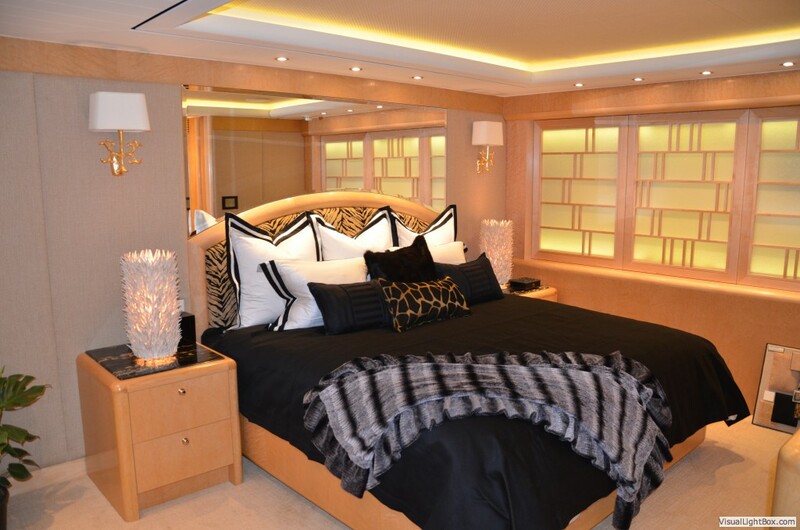 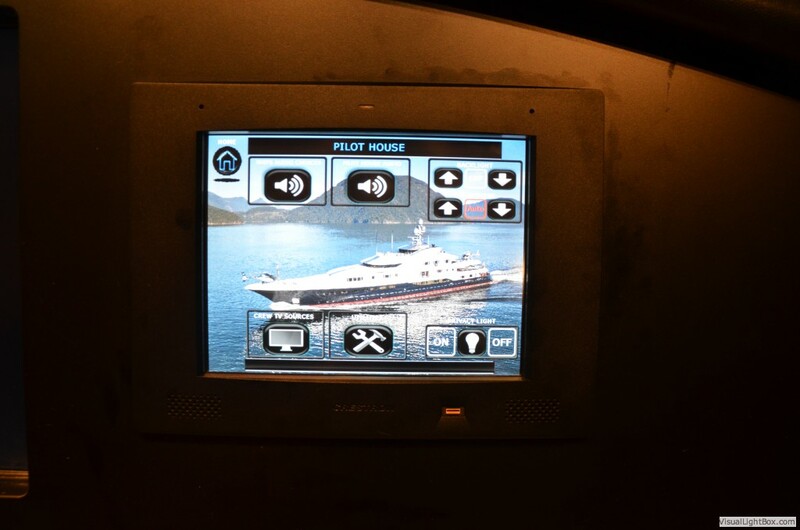 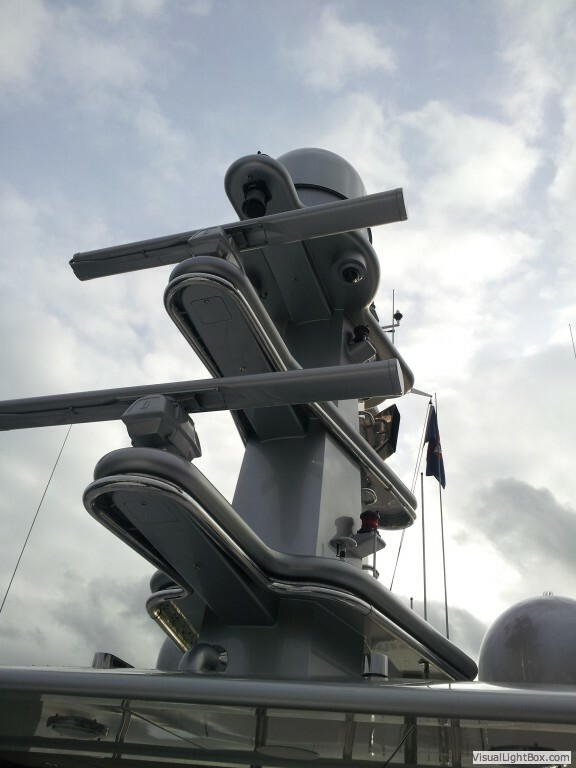 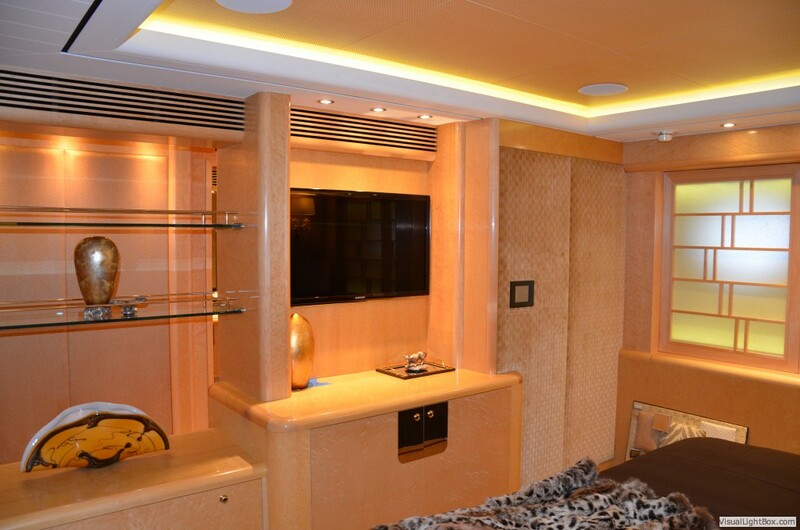 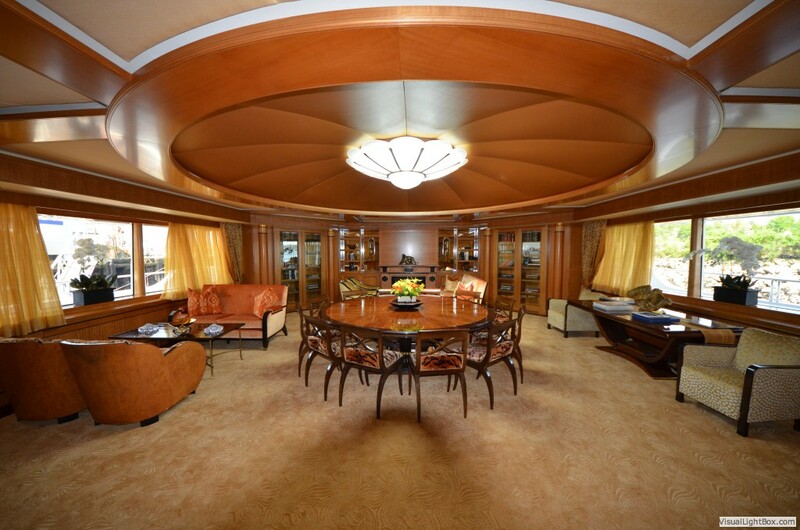 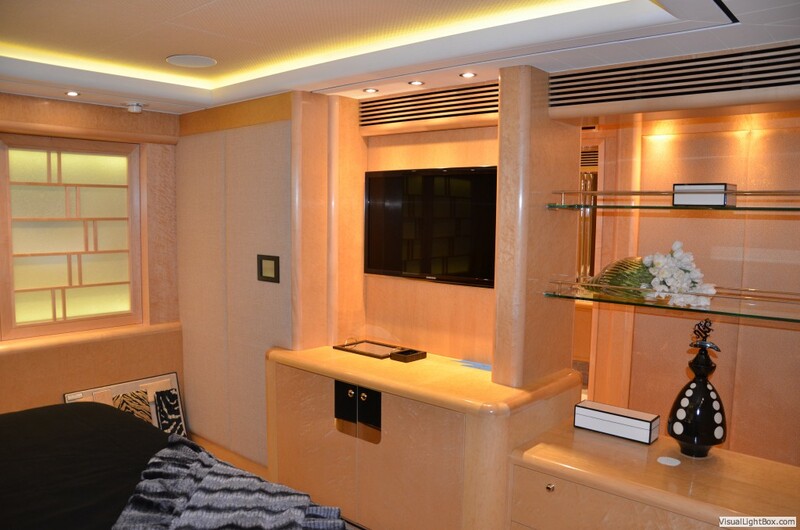 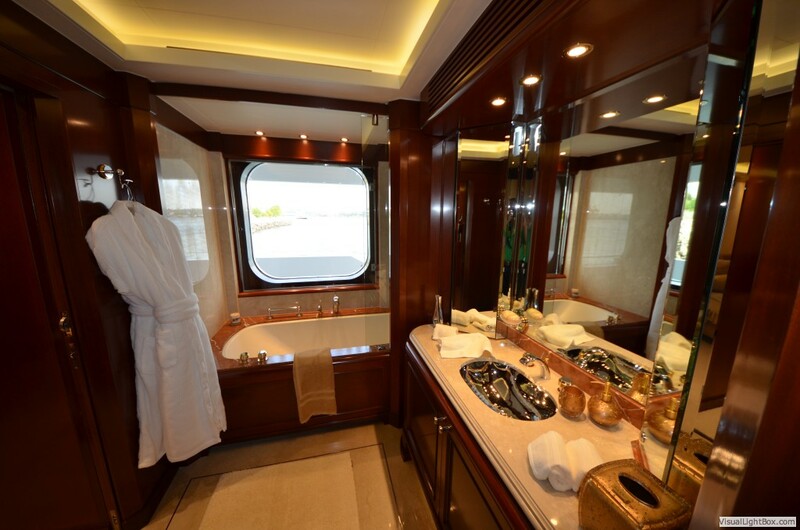 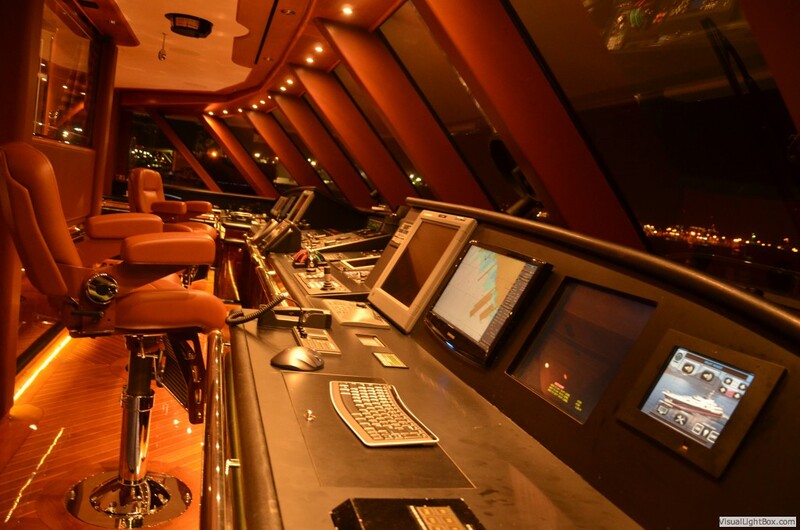 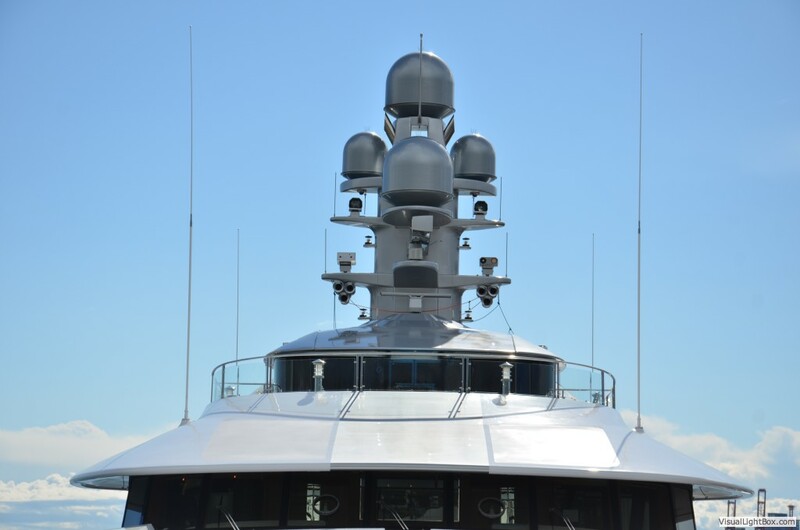 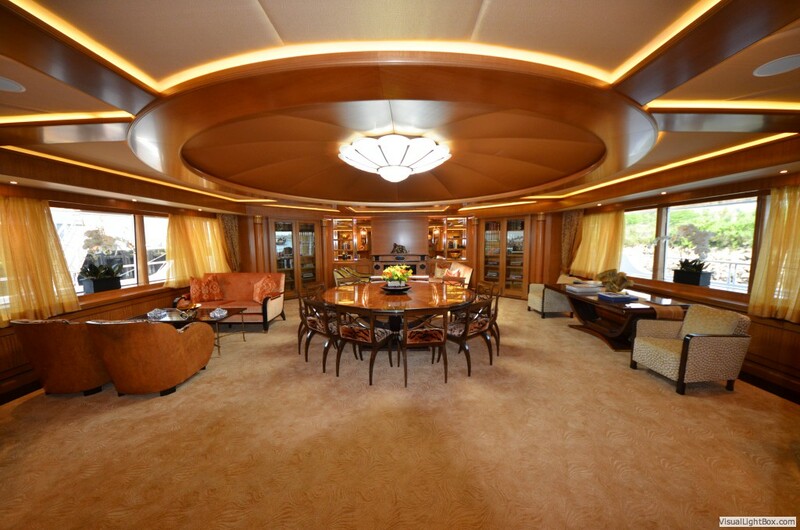 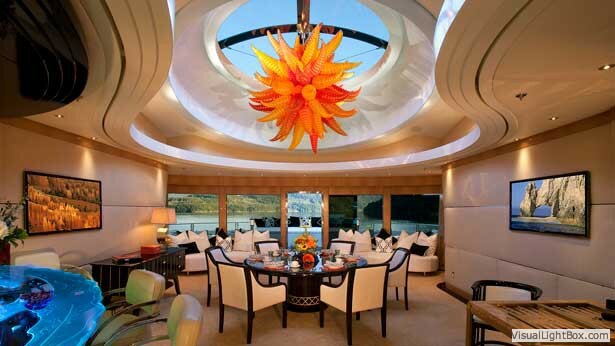 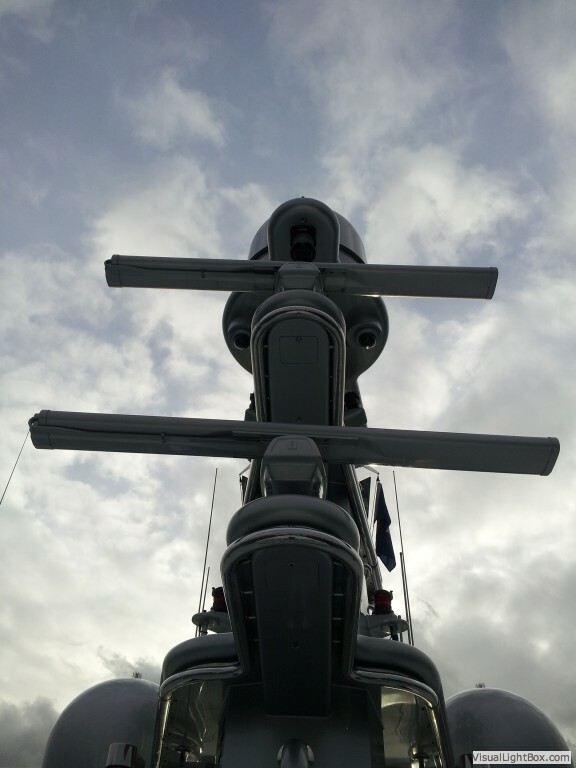 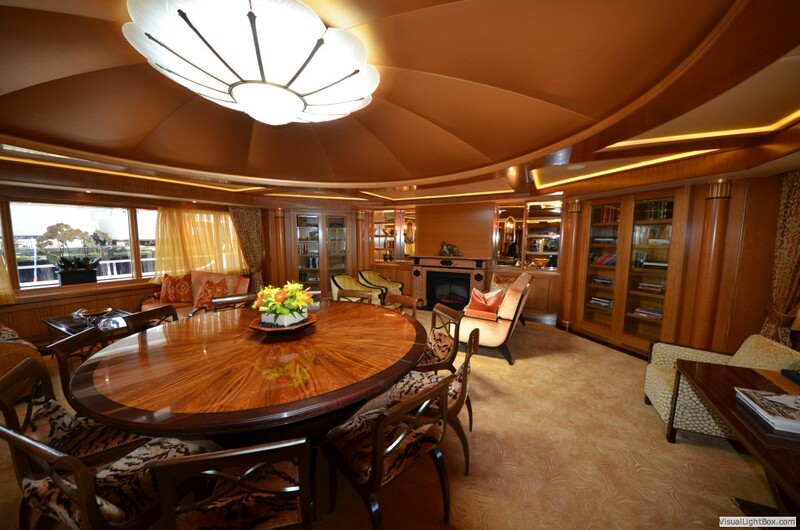 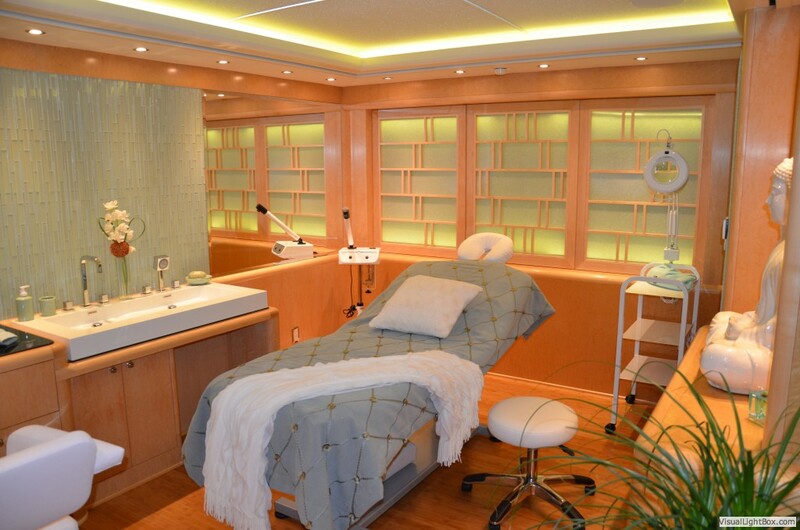 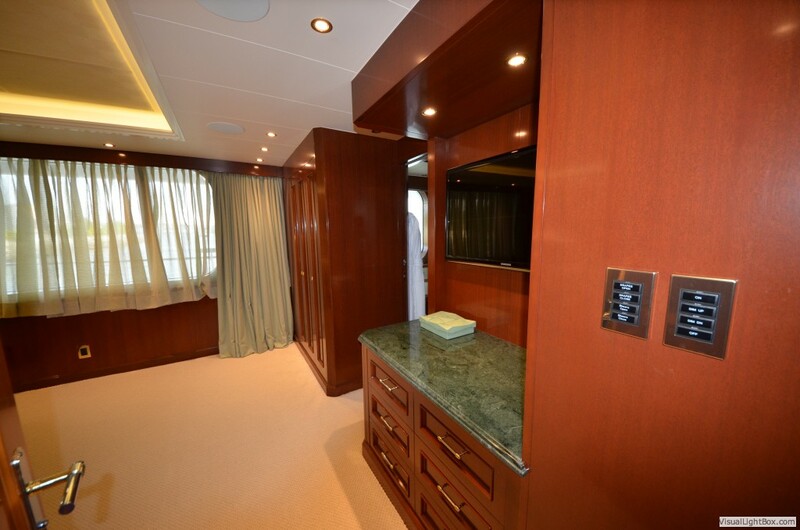 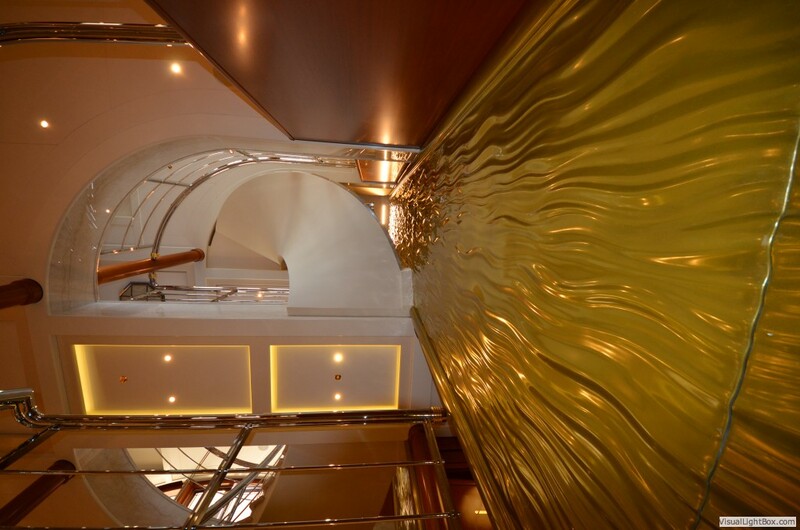 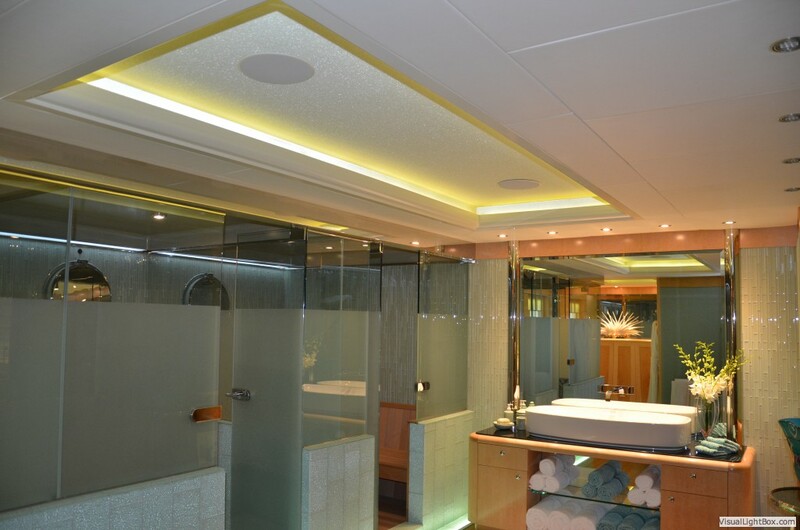 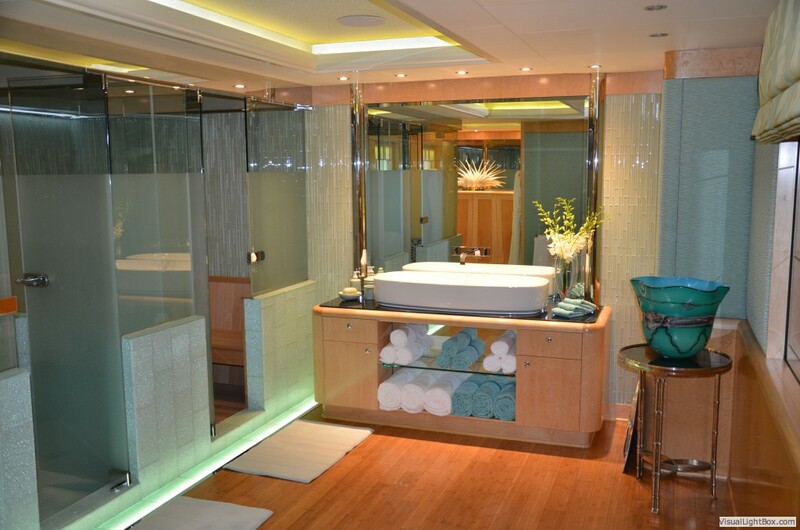 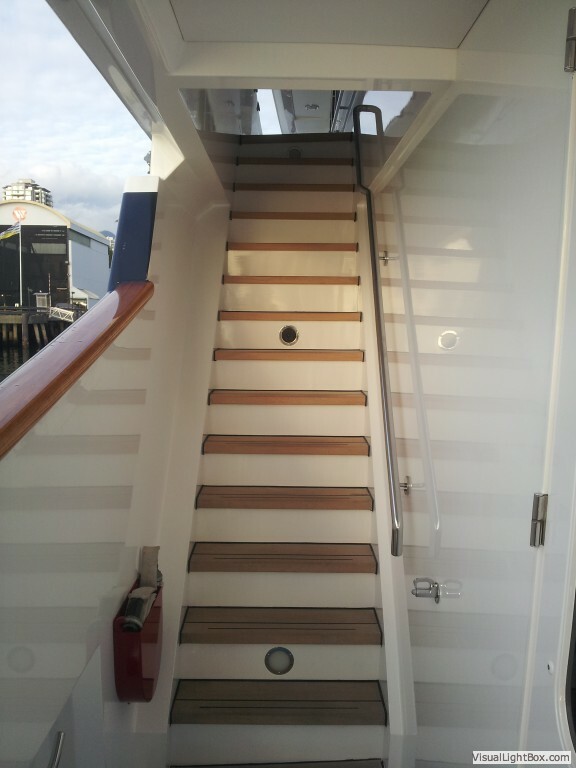 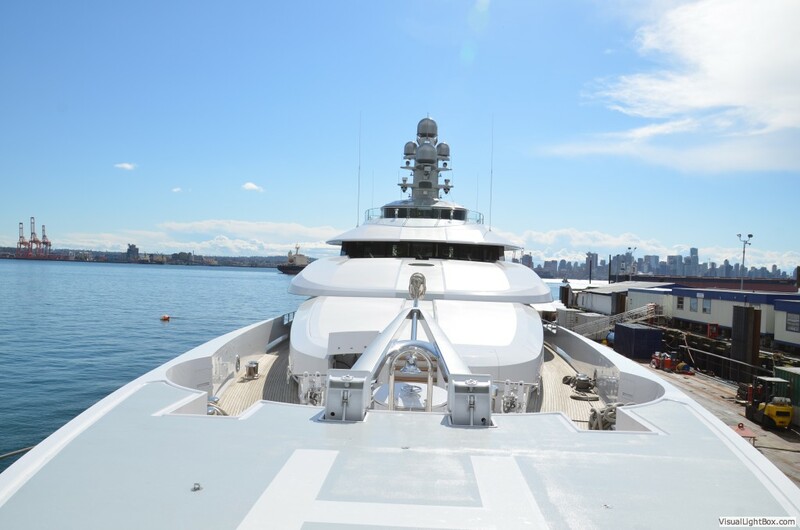 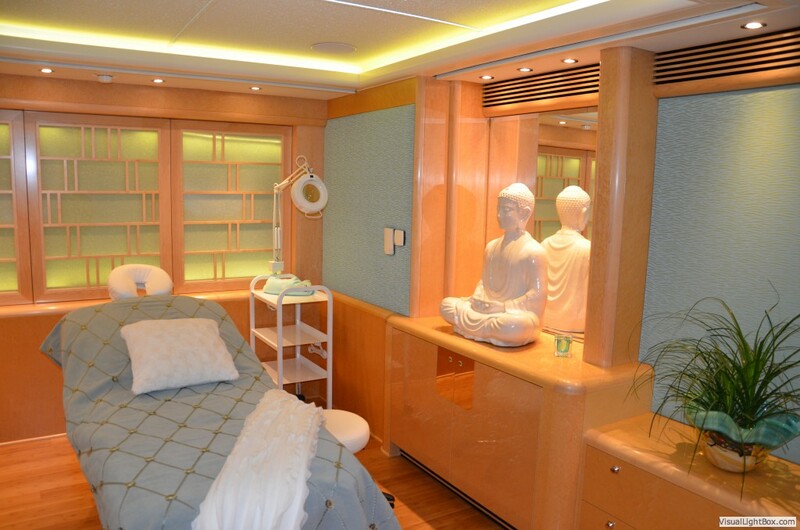 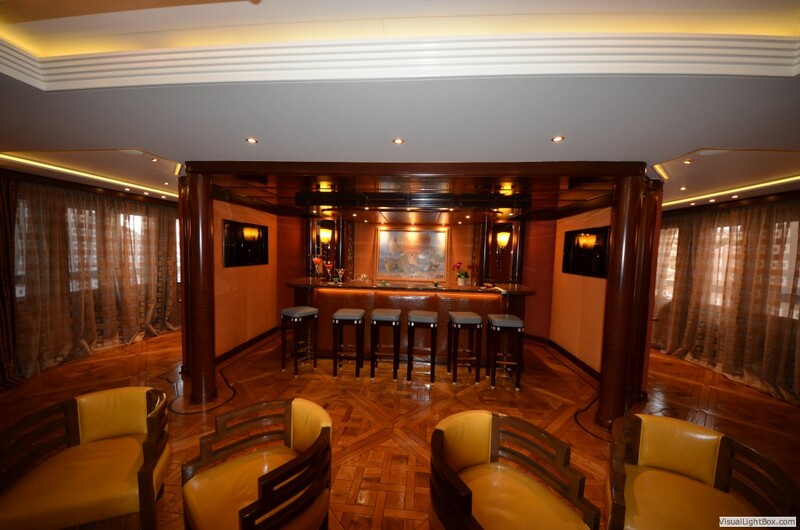 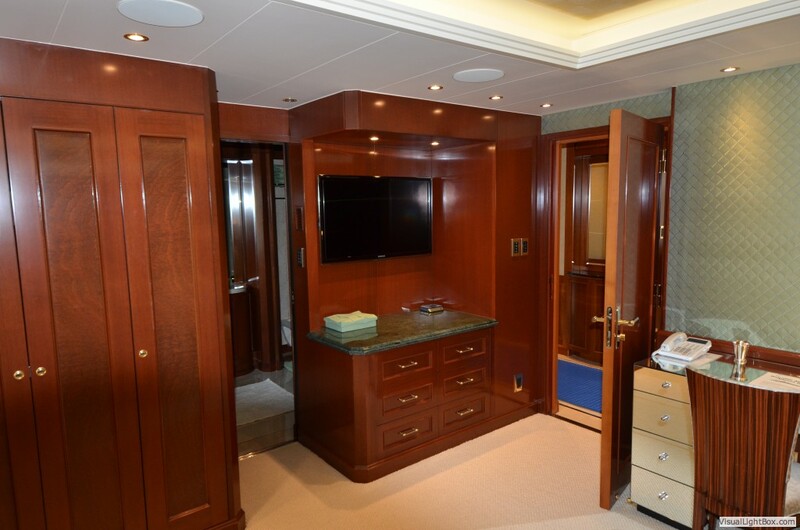 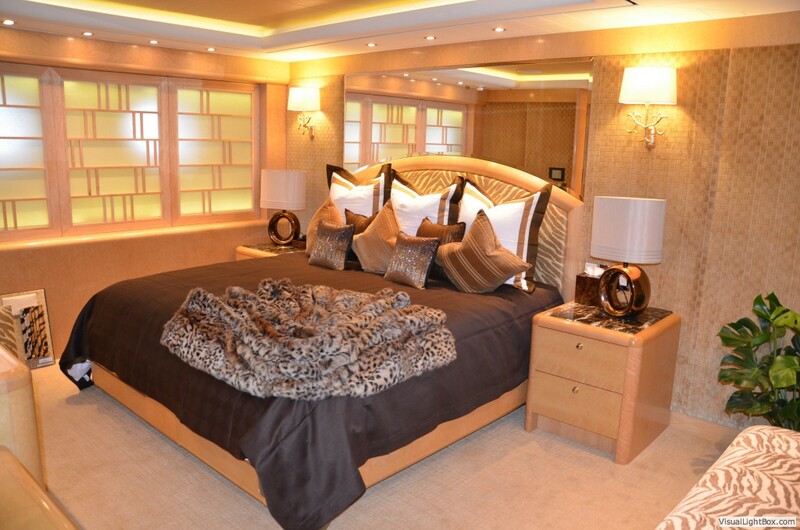 There is LED lighting throughout the ship as well as individual climate control and a paging system. 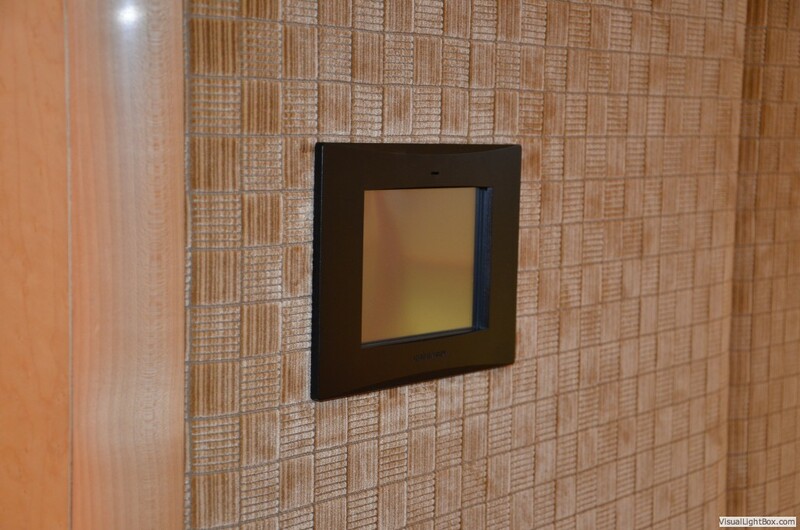 The guest rooms all feature Crestron remotes, satellite TV, ipod docks and wifi. 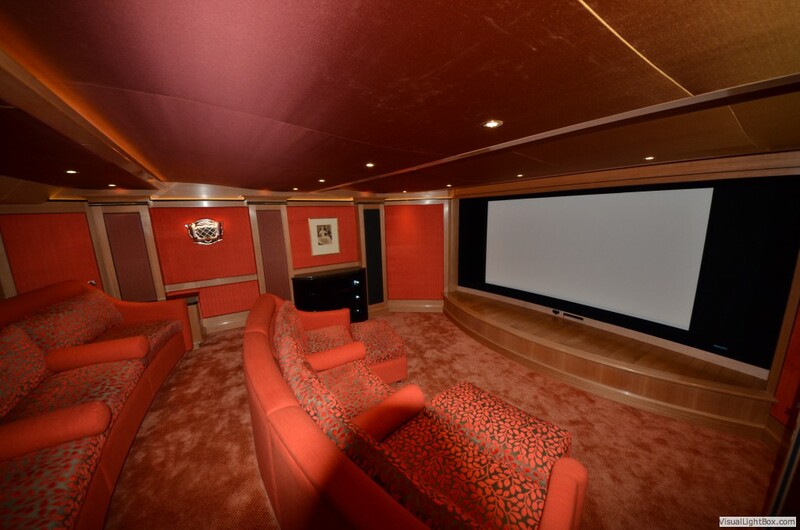 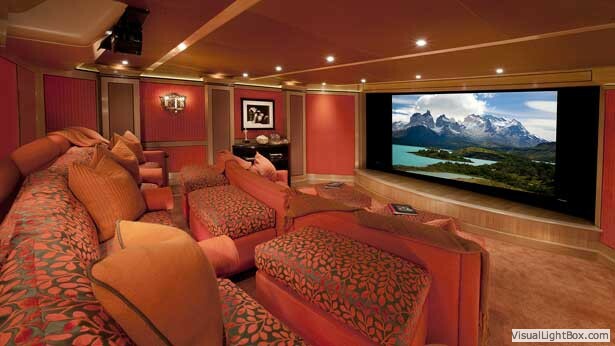 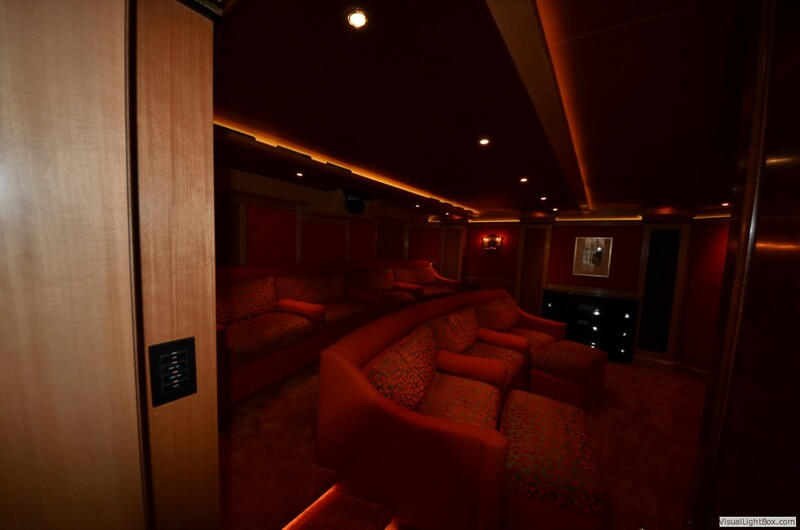 The full size theater features a 3D digital cinema projector and a JBL Synthesis surround sound system. 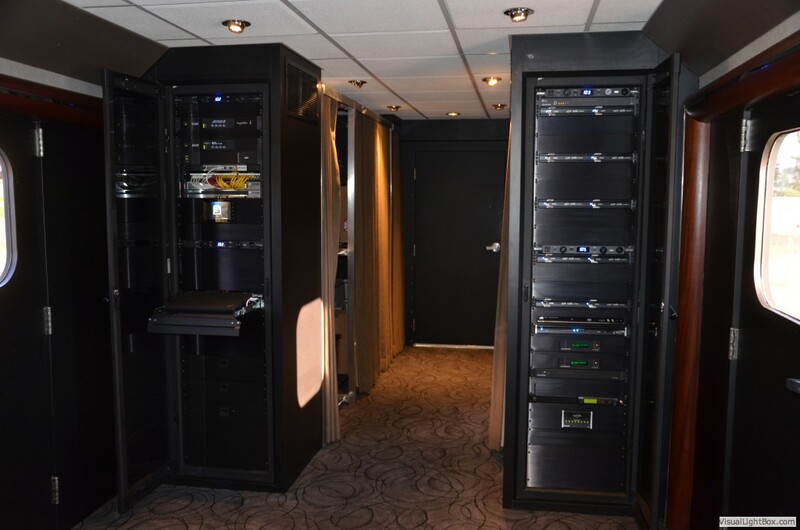 The biggest challenge was designing a system with a centralized equipment rack because of the fact that the cars can be reconfigured. 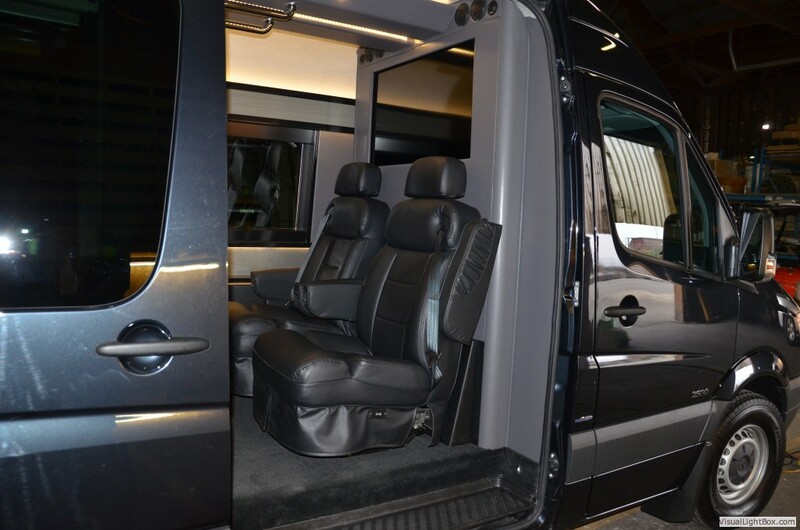 The order of the cars can change and they can also be flipped around to suit the owner's needs. 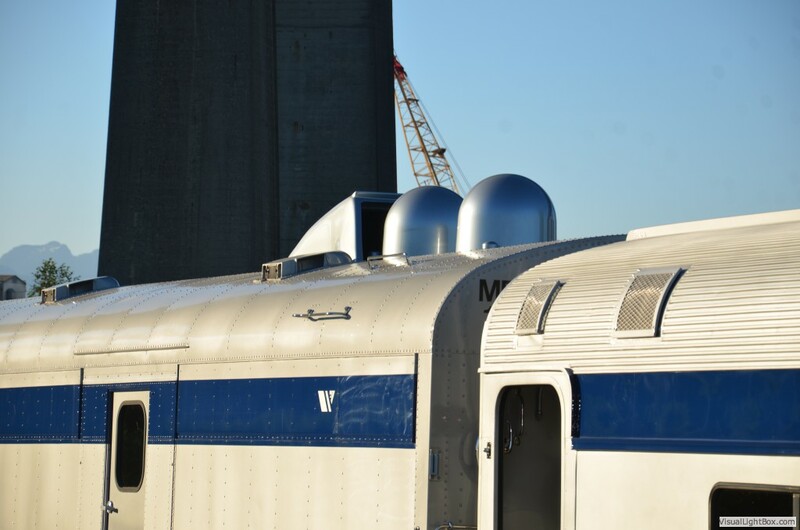 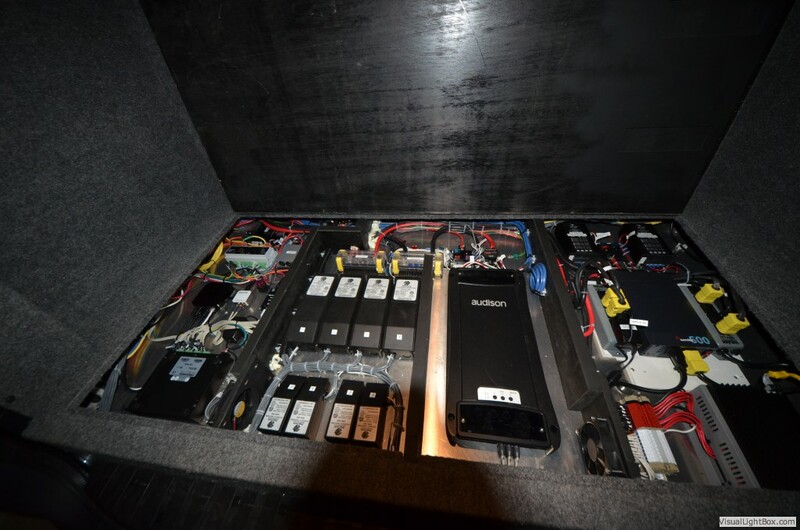 The solution was using military grade fiber optic connectors at both ends of each car. 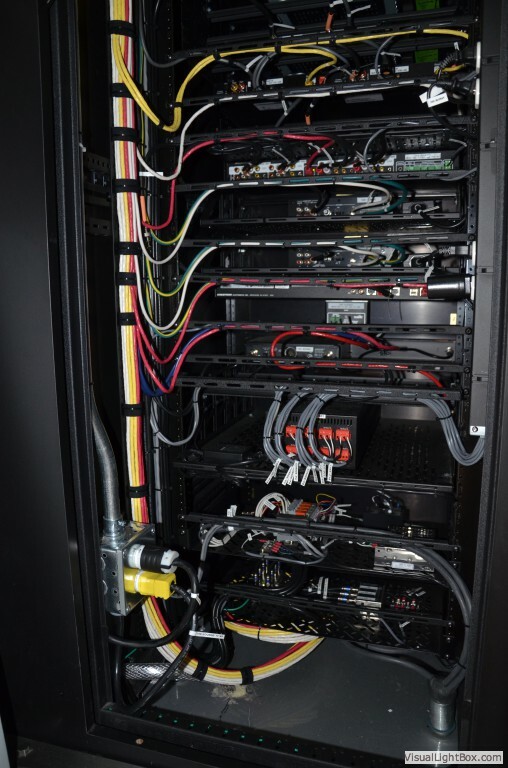 That way if the cars are reconfigured they can simply disconnect the the fiber trunks and re-connect them when the cars are repositioned. 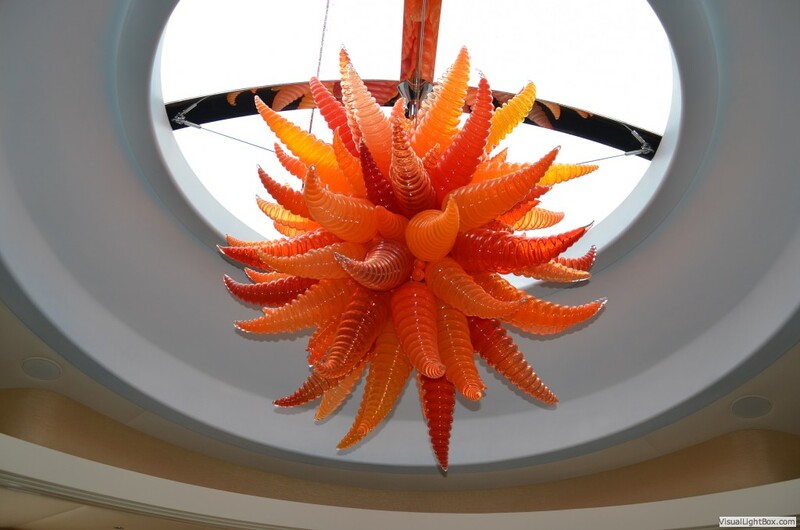 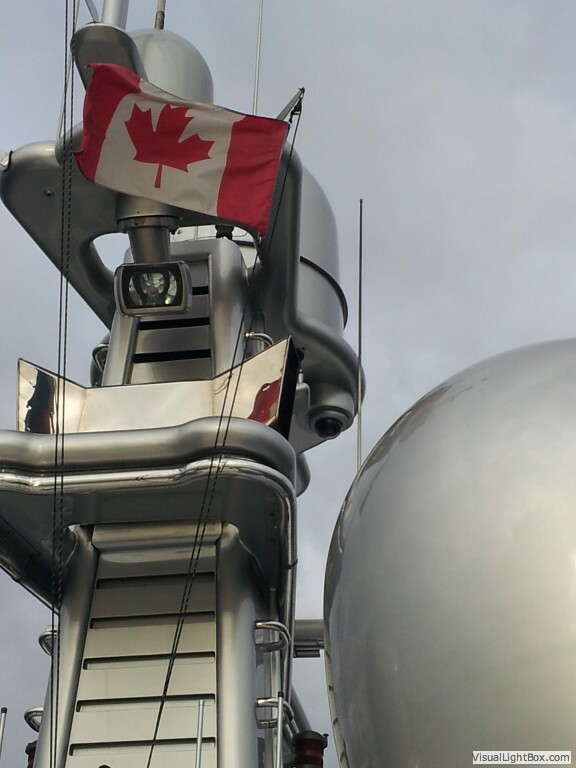 We are proud to say that we are the FIRST and ONLY company capable of installing these connectors in Canada! 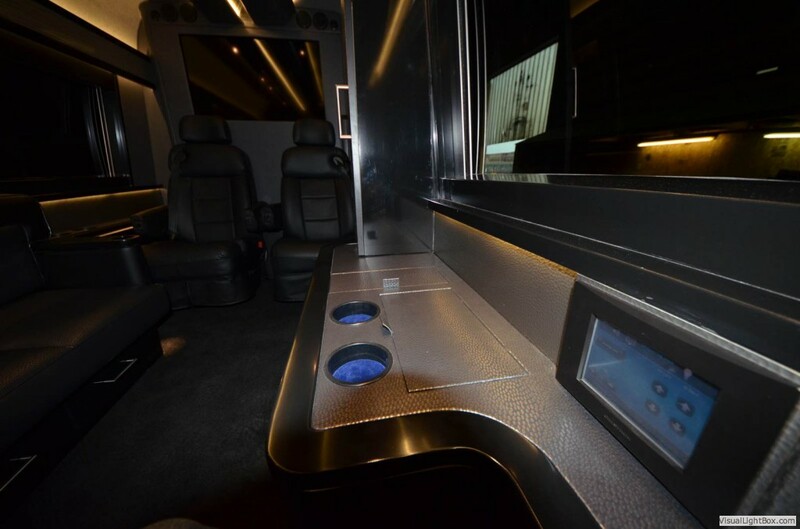 There are 5 cars each featuring a paging system, satellite TV, wifi and touchscreen control. 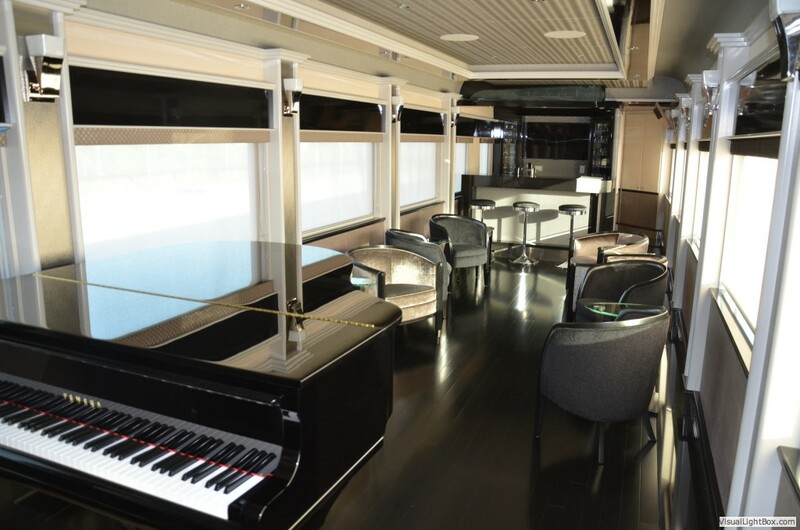 There is even a grand piano that we mic'd up so if there is a musical guest performing, the performance can be heard throughout the rest of the cars! 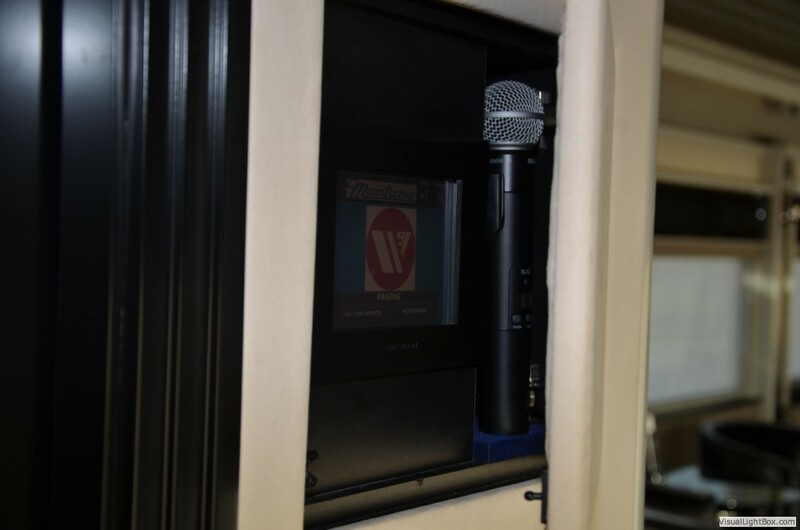 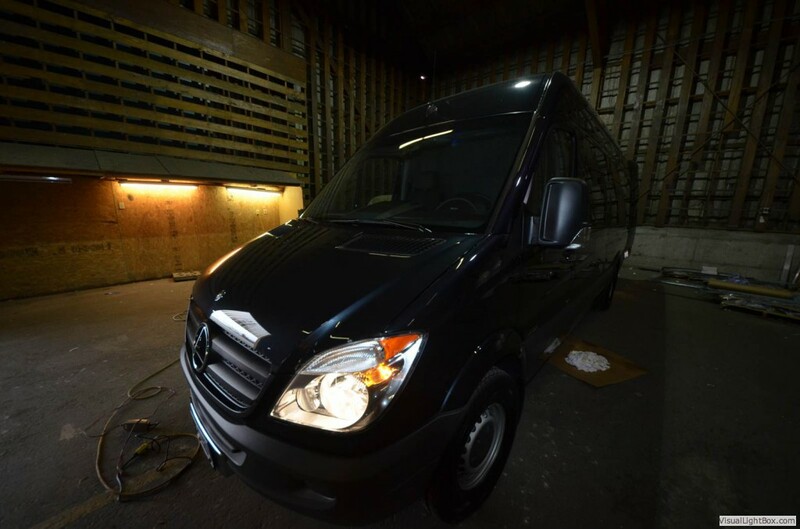 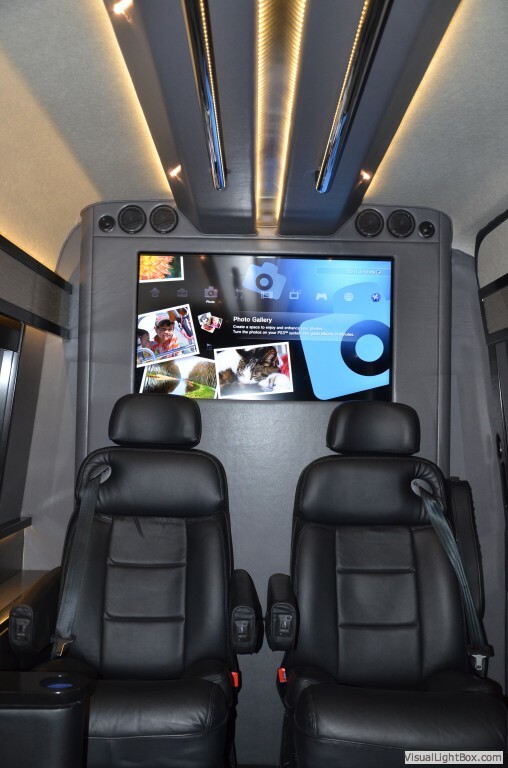 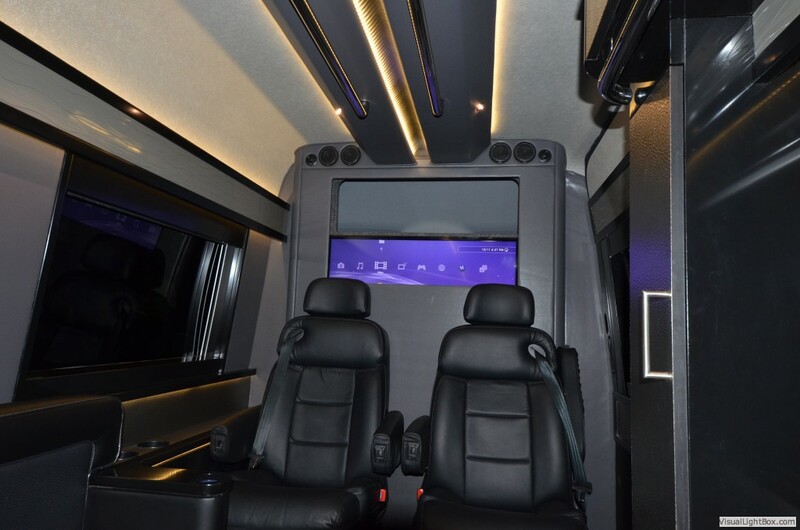 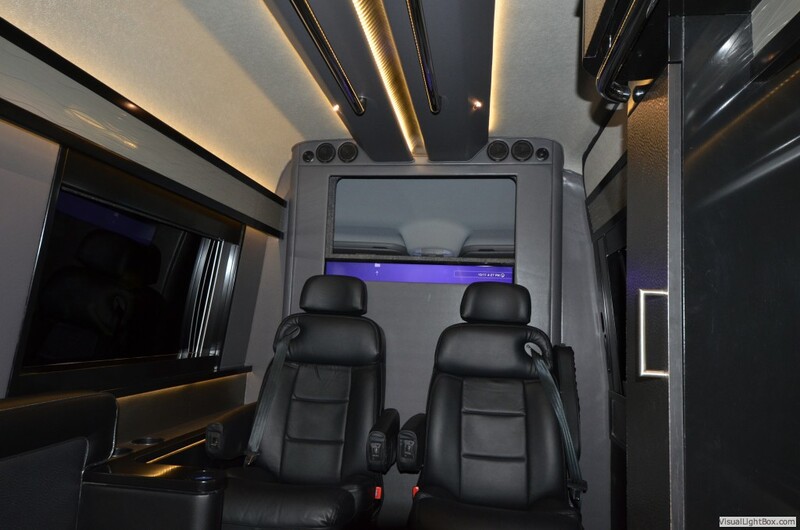 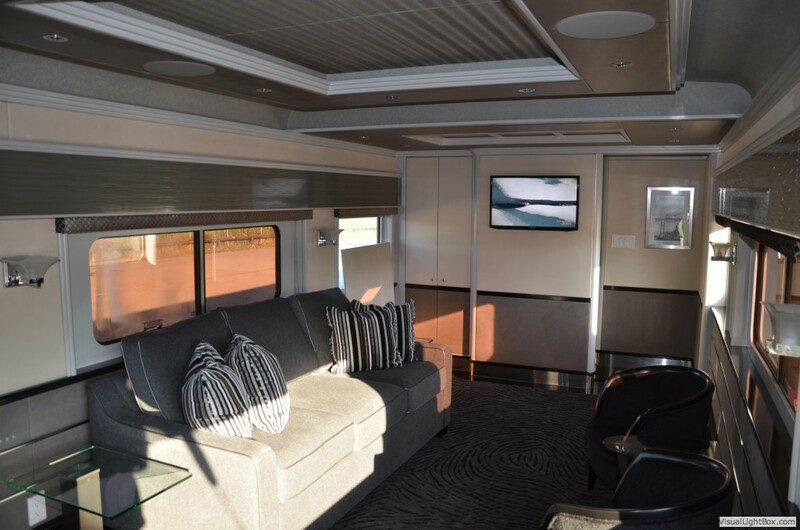 Utilizing the vehicle's native DC power we incorporated a full LED lighting system and motorized blinds as well as a full audio video system with Crestron control. 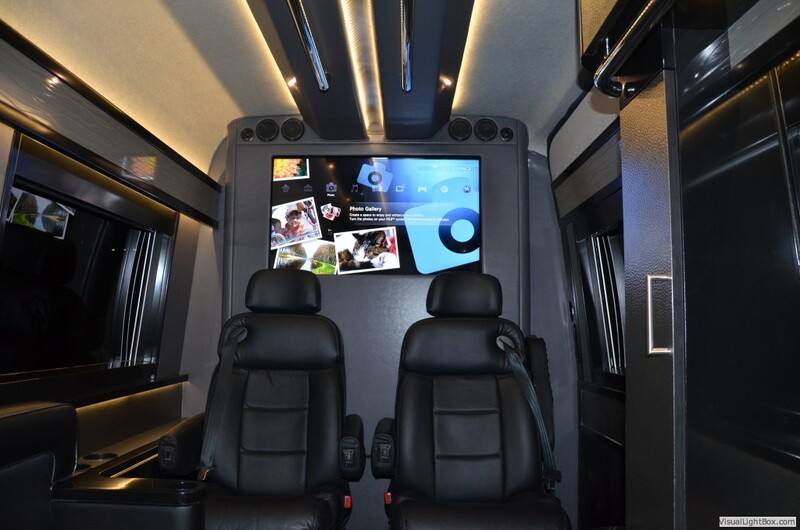 The most striking is the custom TV lift which raises a 50" Samsung LED TV that acts as the partition between the cabin and the driver rather than a traditional window. 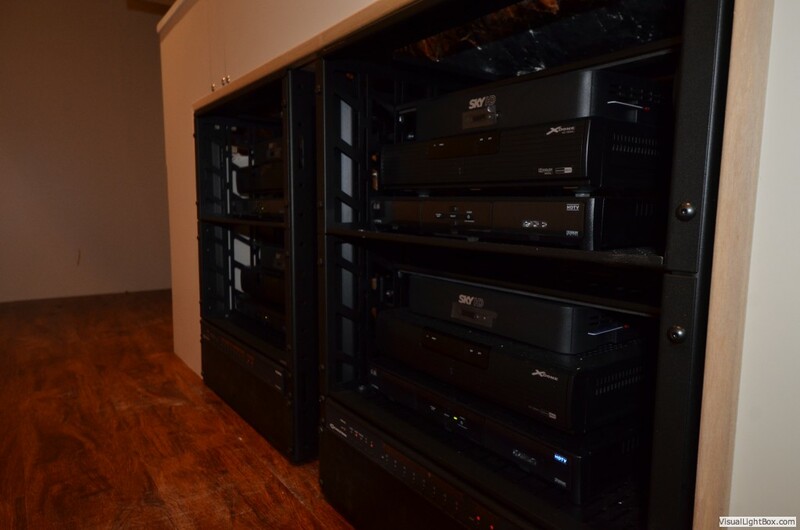 For entertainment there is an AppleTV, a PS3 and a Crestron iPod dock. 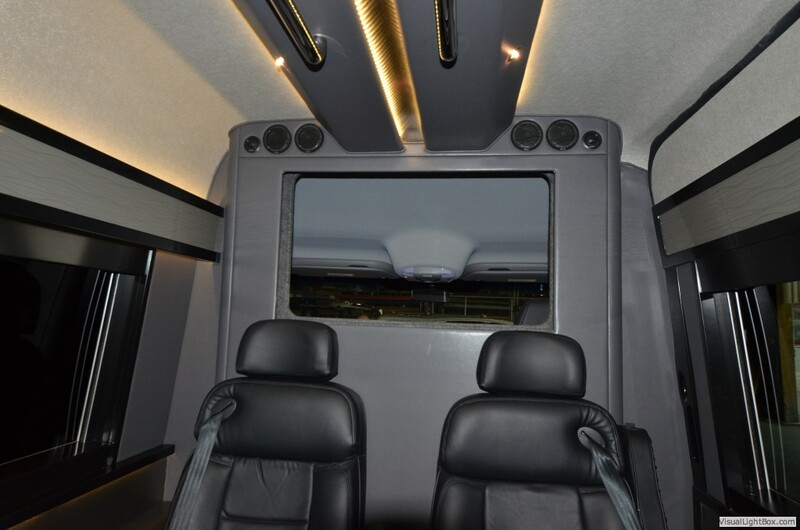 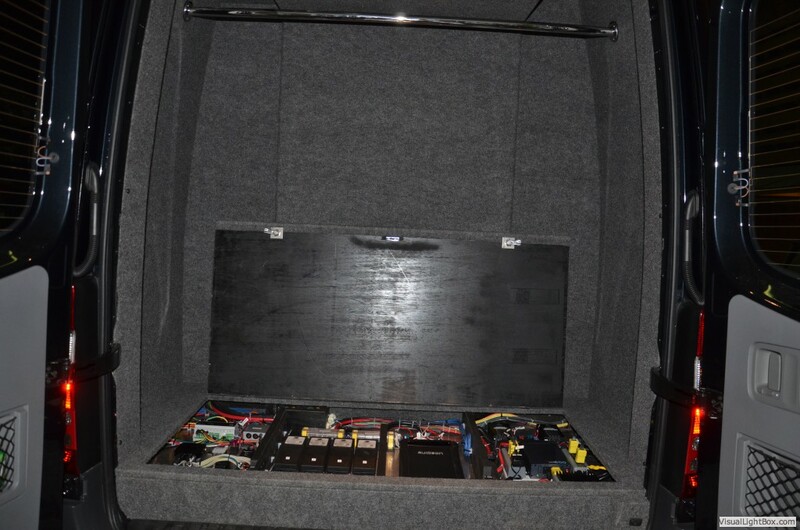 The audio system features powerful infinity speakers and subwoofers, once again utilizing the vehicle's native DC power. 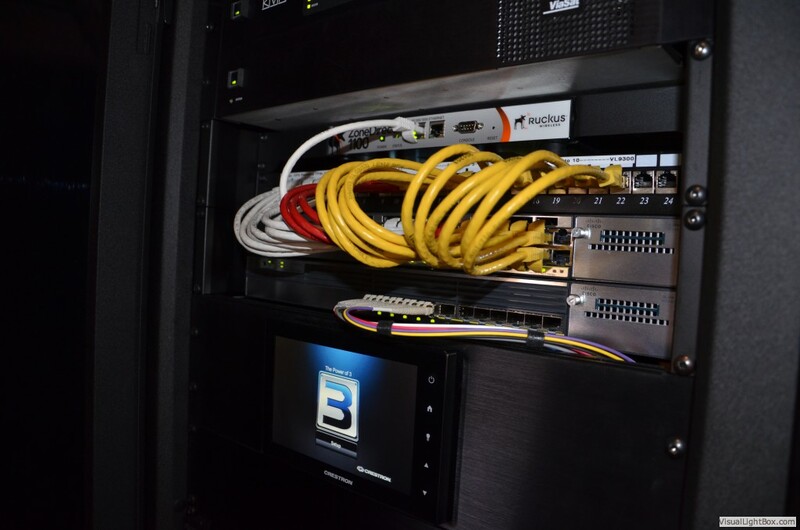 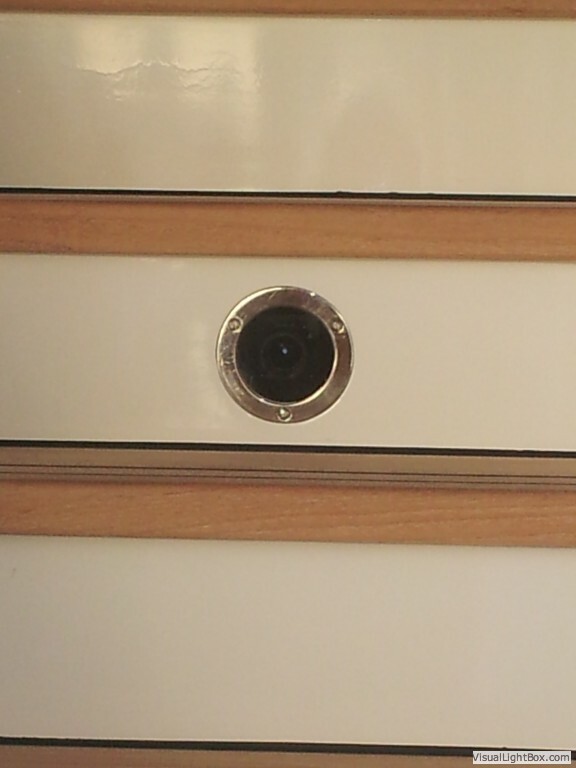 We overhauled the 10 year old system with modern Pelco camera's and a network DVR so that the camera feeds can be viewed anywhere in the world. 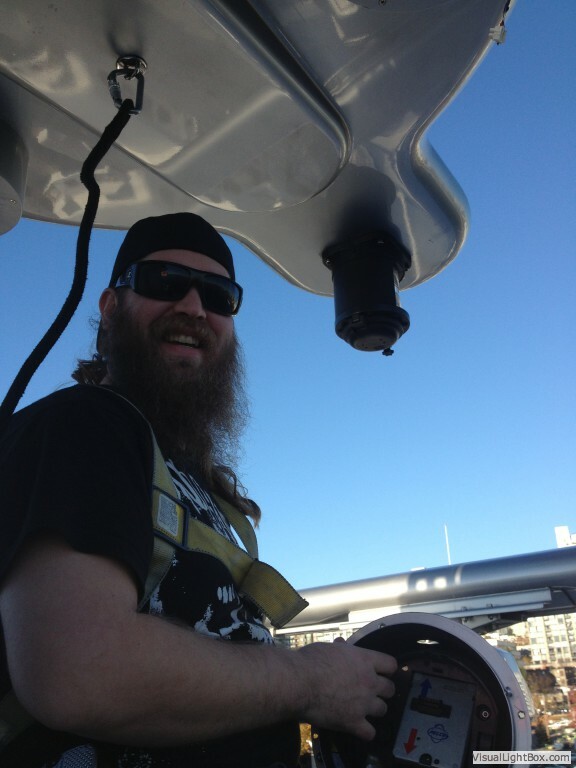 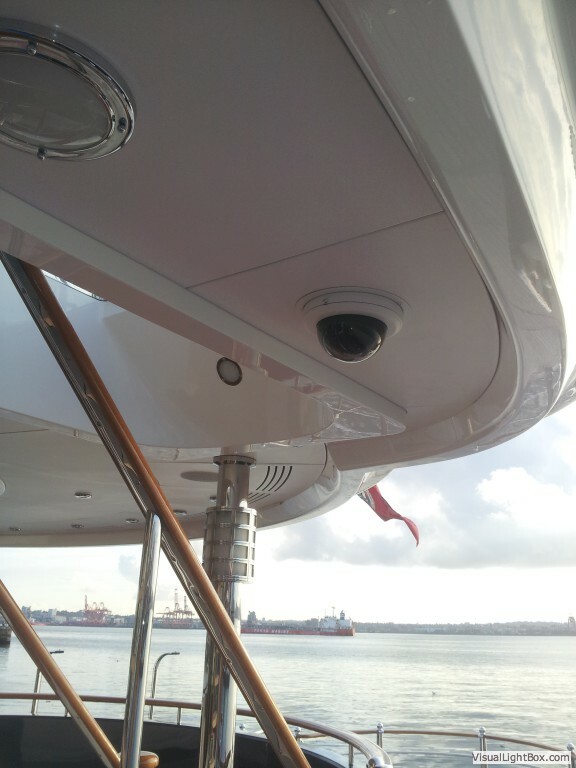 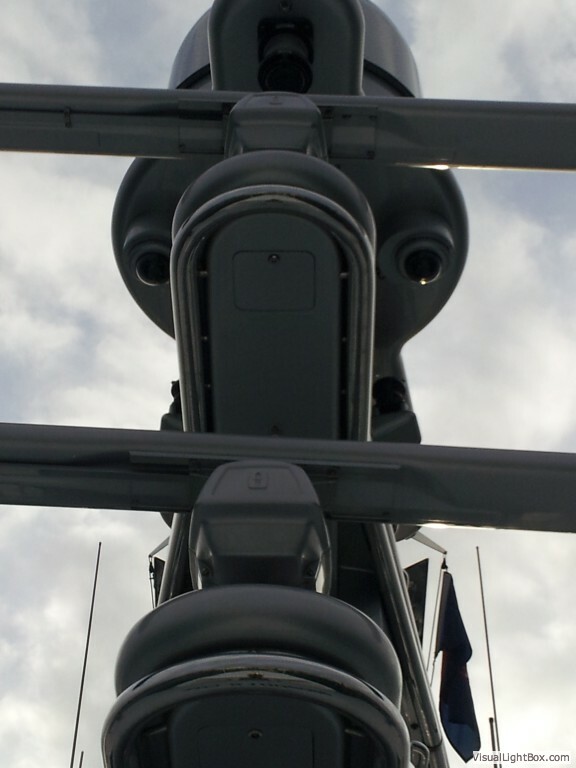 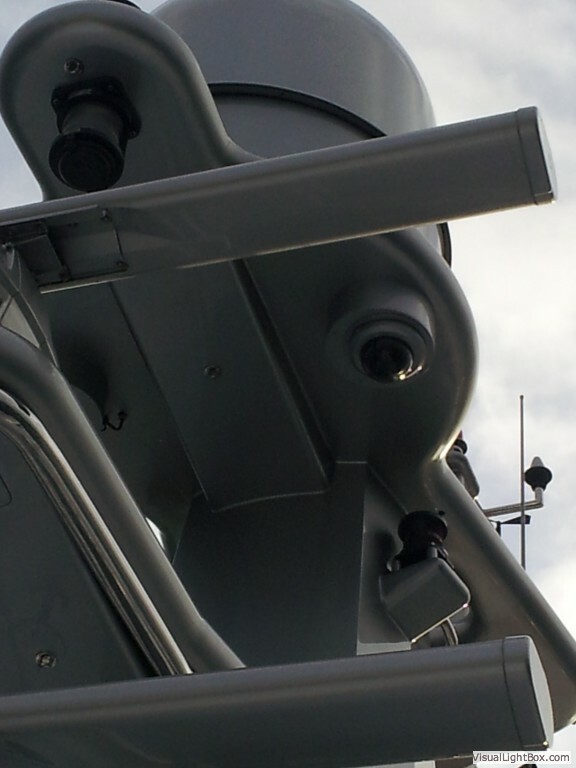 The physical installation of the camera's was a unique challenge which involved our techs using climbing harnesses to install cameras on the ship's mast.